Ownership of the Ministry of Defence Art Collection transferred to museums and public bodies in 2017. Horatio Herbert Kitchener, 1850 to 1916. Various types of Birds with Viaduct. The Battle of Jutland from the Air, 1916. View of North Bastion, Tower of London, 1941. The MOD art collection consisted of around 2,000 items of fine art and antiques including paintings, drawings, engravings, photographs, clocks and furniture. 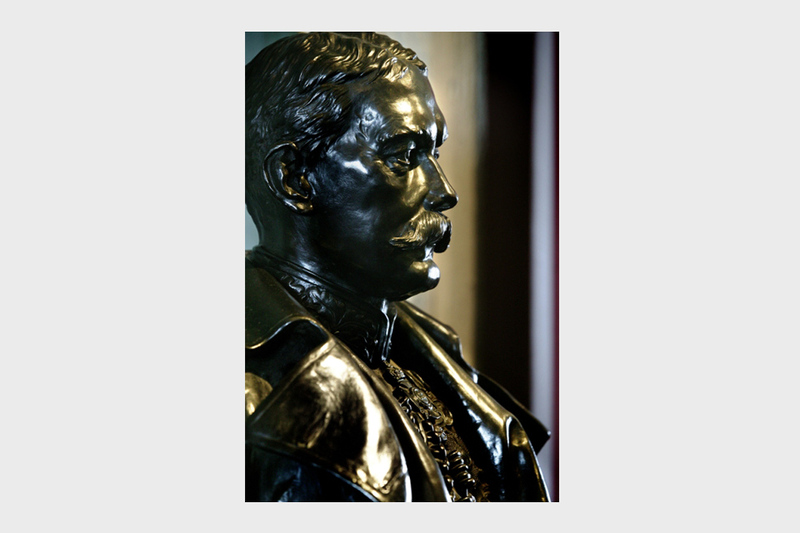 The collection existed through the generosity of donors in the 19th and early 20th centuries who made bequests and gifts to the Admiralty and later, the War Office, then the Ministry of Defence. In most cases the terms of the gift or bequest mean that they may not be sold or otherwise disposed of and the intentions of the donors were that the works should be in public ownership rather than in the private collections of various regimental messes and ward rooms. The collection had its origins in the Admiralty collection. From the early 19th century successive First Lords and Admiralty Secretaries commissioned portraits and donated or bequeathed items from their private collections with the intention of ensuring that their memories were preserved. The army is less well represented because although hundreds of fine works of art have been commissioned and bequeathed, most still belong to regimental messes and are not public property. There were also few images of the Royal Air Force as most of the significant paintings depicting RAF personnel and activity belong to the RAF museum. The A to Z below lists some of the very best works of art and historic objects. This magnificent work by Francesco Guardi was painted around 1740. It was one of the many works bequeathed by John Wilson Croker; Secretary to the Admiralty between 1809 and 1830, and the collection’s main benefactor. Recent cleaning was carried out on the painting when some layers of discoloured varnish were removed. Although Admiral Haddock’s legacy is assured within the Royal Navy, perhaps his greatest historical legacy is that his story impressed the Belgian author Hergé sufficiently for the Admiral to be used as the inspiration for a character in The Adventures of Tintin . Admiral Richard Haddock coincides exactly with Hergé’s creation of the fictional Captain Haddock’s flamboyant ancestor Sir Francis Haddock in ‘The Secret of the Unicorn’. Prior to the outbreak of the third Anglo-Dutch War in 1672 Richard Haddock became captain of the 100-gun HMS Royal James on 18 January of that year; he was her captain at the Battle of Solebay on 28 May. The Royal James was the flagship of Admiral Sir Edward Montagu, 1st Earl of Sandwich . The Royal James led the Blue Squadron and attacked Willem Joseph van Ghent’s ship. She was then engaged by a number of other Dutch warships and fireships. Despite fighting several of them off and forcing Rear-Admiral Jan van Brakel’s ship to disengage, the Royal James was set on fire by the Dutch. Admiral Haddock was wounded in the foot and seeing that the ship was doomed attempted to persuade the Earl to abandon ship. Montagu refused and Haddock jumped overboard. He survived to be picked up and transferred to another English warship. Montagu was killed in the wreck. Haddock returned to London and attended a meeting with King Charles II. There the King bestowed a mark of favour on Haddock for his actions during the battle, taking a satin cap from his head and placing it on Haddock’s. Among the better known war artists were a small London-based group commissioned to record the effect of bomb damage on well-known buildings. These artists, employed by the Ministry of Works, were given special access to damaged government buildings - but were hampered by a lack of canvas on which to paint. Alistair Stewart solved the problem by producing paintings such as this one on utility hardboard. Throughout the wartime period a small team of artist-restorers, working for the artists’ section of the Ministry of Works, were responsible for the care and maintenance of public works of art. This team built on a long tradition of employing artists in a dual role as painting conservators. At the outset of the London Blitz some of these artists were asked to record damage to significant buildings such as the Tower of London and HM Customs House. The official war artists commissioned by the War Artists Advisory Committee were all, at this point, deployed out of London, and among the few people available and capable of undertaking the task were Alistair Stewart and William Hampton. The Canadian Infantryman was painted by Augustus John in 1918 when he accepted a commission with the Canadian Expeditionary Force in order to produce a series of war portraits. 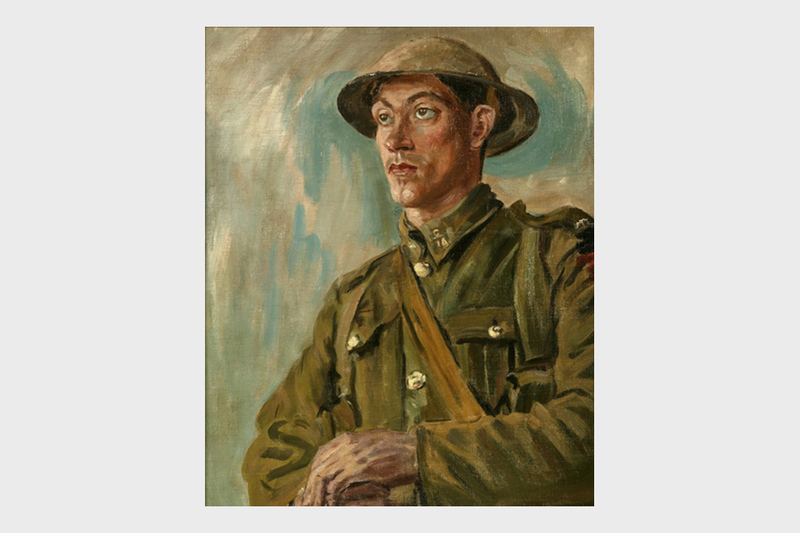 One of the very best portraits in the collection, this portrait by Augustus John of a Canadian infantryman is fascinating because like so many of the war artist’s output, the subject’s identity is unknown. Because we know nothing of the man - nothing of his background, family, attitude towards what he was doing - he takes on an iconic significance. He symbolizes both the victors and victims of war and has become, for the Armed Forces, our universal ‘Unknown Soldier’. The work is signed and dated on the reverse of canvas, and was donated to the collection. It is appropriate that the central collection of the MOD should contain works of art depicting both 20th century world wars. Activity during the 1939 to 1945 war is widely represented and again the concentration is on naval activity rather than on land campaigns. 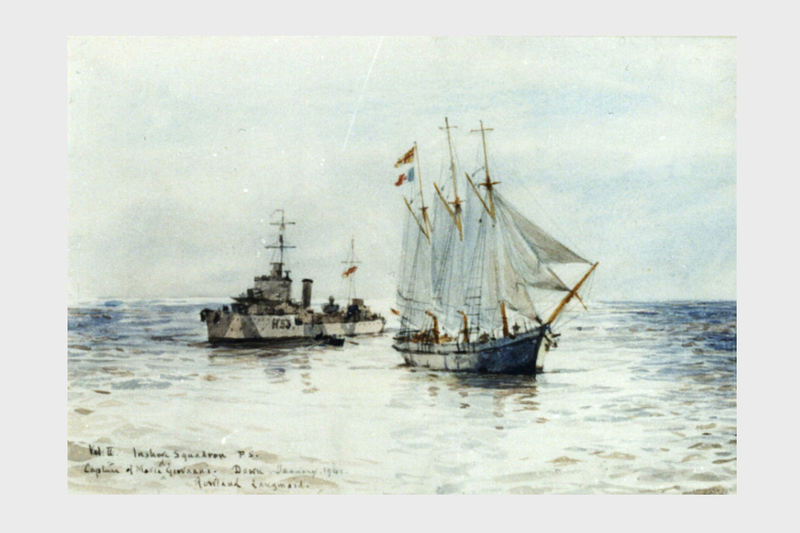 This watercolour shows HMS Dainty capturing the Italian merchant ship schooner, the SS Maria Giovanna, off Bardia. SS Maria Giovanna was a 255 ton schooner running supplies to North Africa. HMS Dainty was a D-class British destroyer. At the beginning of World War 2 the HMS Dainty joined the Mediterranean Fleet. On 24 February 1941, when she was cruising off the coasts of Eastern Libya, the HMS Dainty was spotted and bombed by a German aircraft. She was severely damaged and sank off Tobruk. Rowland Langmaid was born in Canada on 1 December 1897. He was the eldest son of Captain J Langmaid, who was an engineer in the Royal Navy. Langmaid joined the Royal Navy in 1910 and went to sea at the beginning of the World War 1 serving at the Dardenelles in HMS ‘Agamemnon’ where he made official sketches for landings. After the war Rowland Langmaid studied at the Royal Academy School and the Royal College of Art. He held exhibitions at the Royal Academy and in London, New York, and Paris. Langmaid was a highly accomplished engraver as well as a painter in oil and watercolour with a style similar to the famous marine artist W L Wyllie with whom he collaborated in Sea Fights of the Great War, 1914 to 1918. Langmaid returned to the active list in 1939 in the rank of Lieutenant Commander and served as official Admiralty artist to the Commander-in-Chief Mediterranean Fleet from 1941 to 1943. This drawing shows activity on board a British patrol visiting a German battle cruiser, at a time when some of the German Fleet was caged in Scapa Flow, a landlocked anchorage in the Orkneys. The artist was commissioned to record activity in and around the British fleet. Muirhead Bone was a master etcher, draughtsman and war artist who was born in Glasgow. He became the first official war artist in 1916 when he was attached to the intelligence branch of the War Office and sent to France. He was commissioned as an Honorary 2nd Lieutenant and toured the western front in a chauffeur-driven car. Working at considerable speed his sketches covered a wide range of subjects, mostly behind the lines, including the work of the medical services, the repair and maintenance of big guns and off duty, war weary soldiers. Bone worked in various media - chalk, charcoal, pencil and pen, sometimes adding touches of watercolour later. Subsequently, Bone illustrated a 2 volume set of books entitled ‘The Western Front’, published in 1917. Muirhead Bone also served as an official war artist in World War 2, by which time he was Sir Muirhead having been knighted by George VI in 1937. Bone was attached to the Admiralty and was not only the first but also the most senior of its artists. His work was to become the most widely reproduced official war art of the war. Among the collection of architectural drawings are designs for churches and barracks, as well as Robert Adam’s Admiralty screen and other Whitehall-based drawings. Originally providing accommodation for the Board of Trade and the Air Ministry, ‘Main Building’ was built between 1938 and 1959 to designs by the architect E Vincent Harris. The MOD moved into the building in 1964 when the department was reorganised. This original architectural drawing has hung in the Main Building since its presentation by the architects in 1969. It was rehung in the rotunda area on the building’s re-opening in 2004. 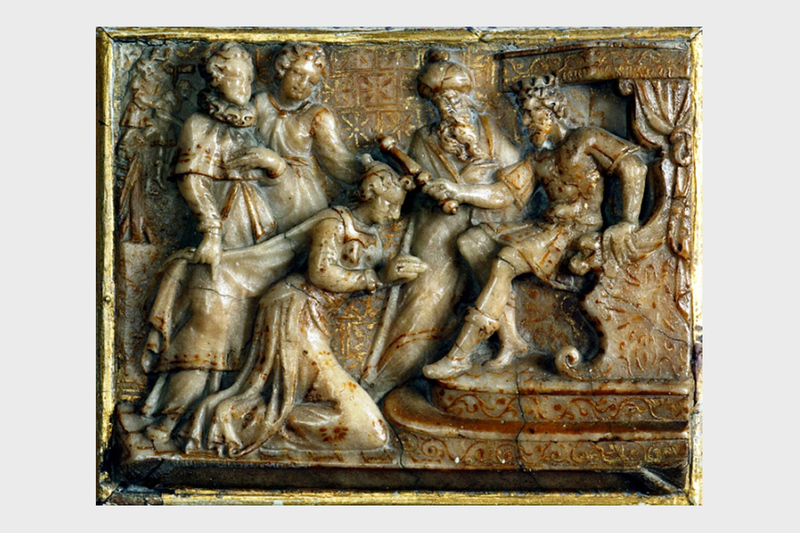 This tiny carving is one of a set of 5, 15th century Flemish alabaster panels from Chicksands Priory in Bedfordshire. When the site became a defence establishment objects from the priory were sent to a local museum. Following the recent restoration at Chicksands the museum decided to allow the alabasters to return to their original home. They are the oldest pieces within the collection. 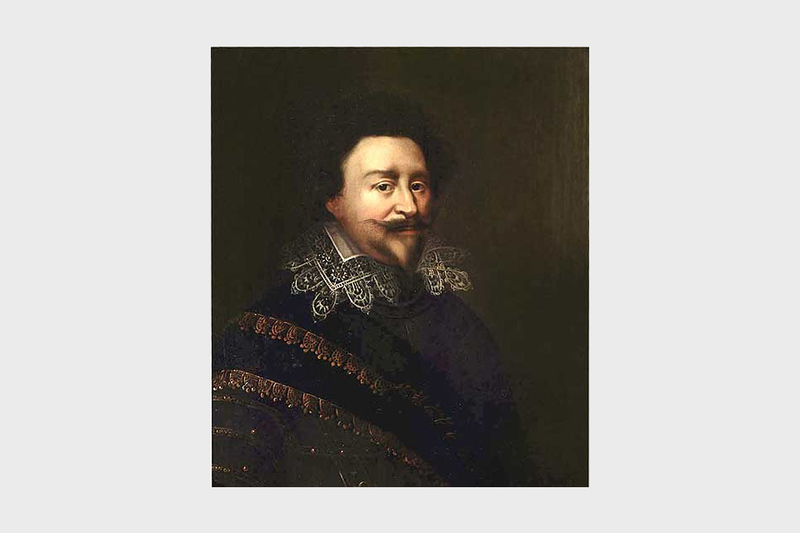 Frederik Hendrik was born in 1584, the son of William the Silent. He succeeded his brother Maurits as Stadholder of the United Provinces of the Netherlands. He was the grandfather of William III who, with his wife Mary, became joint monarchs in 1689. Van Miereveld was the official court painter to the princes of Orange throughout the late-16th century and his works were very highly regarded. It is thought that when William arrived in England he brought portraits such as this one to give to members of the English establishment - in this case, the Lord High Admiral. The portrait currently hangs in a NATO residence in Holland and its first return to its country of origin. 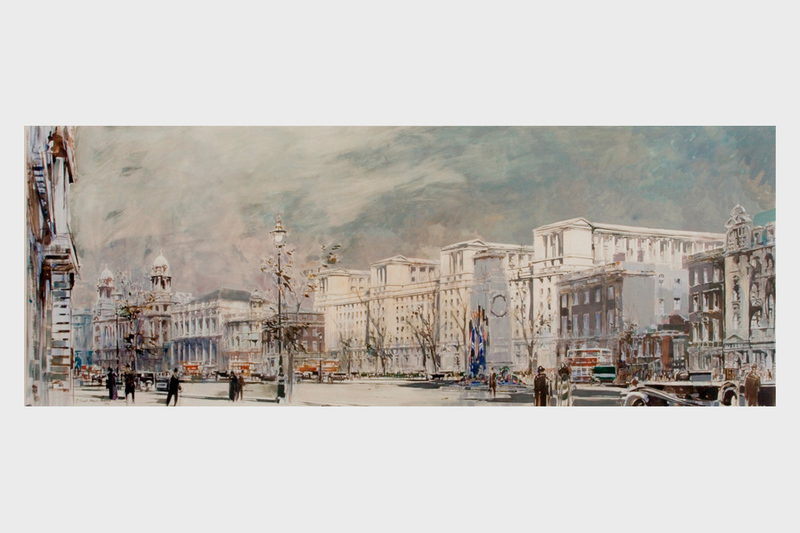 The MOD art collection includes two original architectural Robert Adam drawings - showing front and rear elevations for the screen separating the Admiralty building from Whitehall. The building, built for purpose by Thomas Ripley in 1725, was thought to be too visible to everyday pedestrians in Whitehall. These two drawings are extremely light sensitive and are protected with ultraviolet light resistant glazing and currently hang within Admiralty House. Activity during the 1939 to 1945 war is widely represented in the collection but the concentration is on naval activity rather than on land campaigns. The works of the war artists were presented to the Admiralty and to the War Office in 1946 by the War Artists Advisory Committee. The works of art shown here are all on display in various conference rooms and senior offices around Whitehall. The Battle of Taranto was a naval battle that occurred on the night of 11 November 1940 during World War 2. 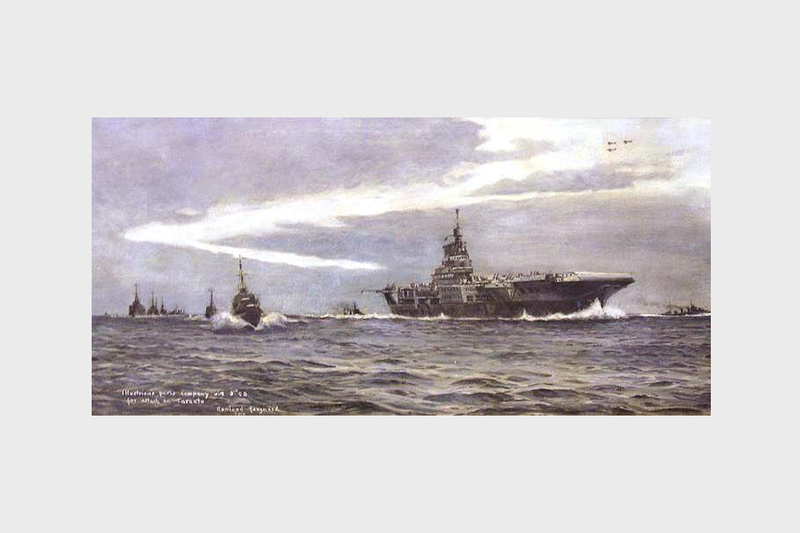 The Royal Navy launched the first all-aircraft naval battle in history, flying a small number of aircraft from a single aircraft carrier in the Mediterranean and attacking the Italian fleet at Taranto. After the war Rowland Langmaid studied at the Royal Academy School and the Royal College of Art. He held exhibitions at the Royal Academy and in London, New York, and Paris. 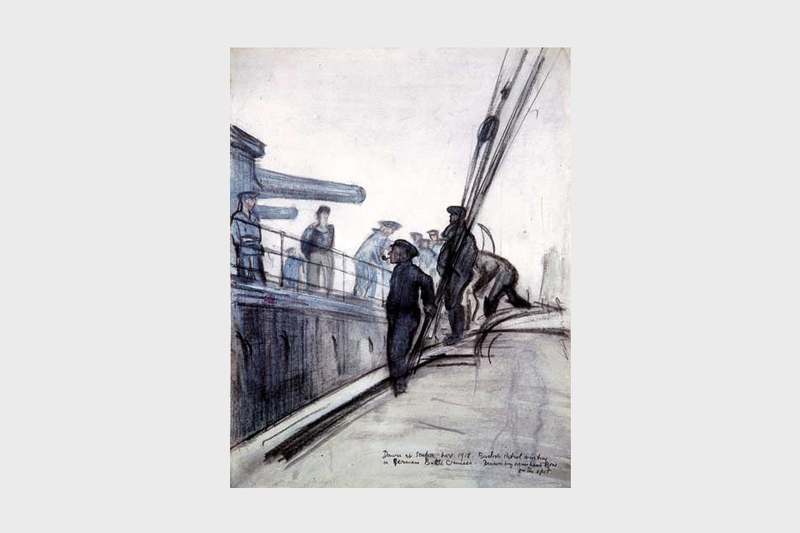 Langmaid was a highly accomplished engraver as well as a painter in oil and watercolour with a style similar to the famous marine artist W L Wyllie with whom he collaborated in Sea Fights of the Great War, 1914 to 1918. On the outbreak of the World War 1 Prime Minister Herbert Asquith appointed Horatio Kitchener as Secretary of War. He became the first member of the military to hold the post and was given the task of recruiting a large army to fight Germany. With the help of a war poster that featured Kitchener and the words: ‘Join Your Country’s Army’, over 3 million men volunteered in the first 2 years of the war. On 5 June 1916 Horatio Kitchener was drowned when the HMS Hampshire on which he was traveling to Russia struck a mine off the Orkneys. This work is one of a number of sculptures adding a different dimension to the collection. The post of Admiralty Secretary was extremely influential in British politics, especially during the 19th century. Croker, of Irish birth, became Chief Secretary for Ireland and after a series of political coups which assisted the government, was offered the Admiralty Secretary’s job. In this capacity he presided over a number of administrative reforms. He is particularly popular with the art collection team because he was one of our greatest benefactors, bequeathing his considerable art collection to the Admiralty. 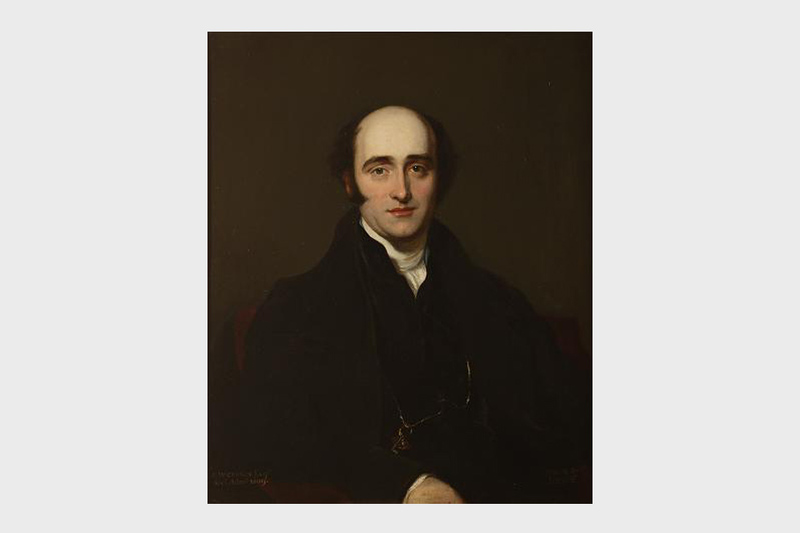 Thomas Lawrence was one of England’s greatest portrait painters and his friendship with the sitter is apparent in this sensitive work. This portrait hangs in the dining room of Admiralty House, Whitehall. 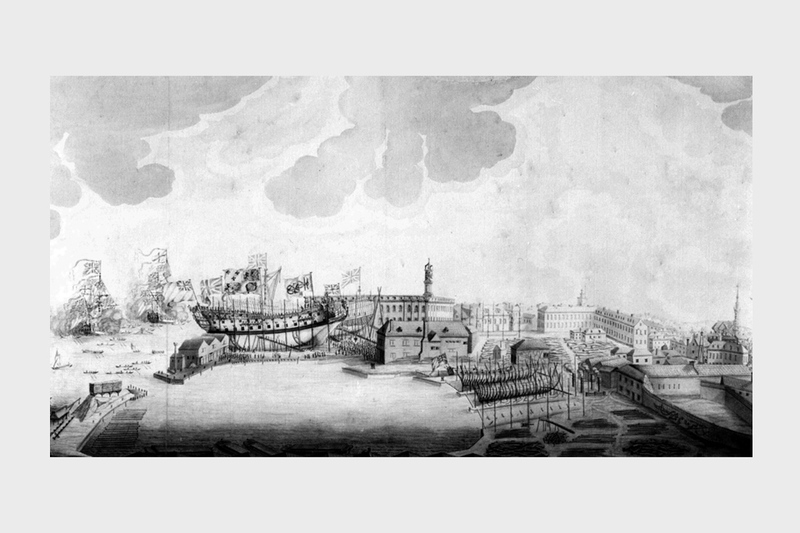 This image depicts the Royal Dockyard at Deptford in 1739, during the reign of George II. Deptford was the site of one of four royal dockyards established during the reign of the House of Tudor, the others being Portsmouth, Chatham, and Woolwich. Collectively they helped create the first ships of the Royal Navy after Henry VII realised that it was no longer safe for the nation to depend on privateers and traders to protect England’s shores. Deptford yard probably grew around a storehouse hired at Greenwich, possibly at Deptford Strand, then called West Greenwich, in 1486. The collection includes many fine engravings and drawings including some first impressions. These ‘first impressions’ are of extremely fine quality since the engraved lines on the copperplate, from which the engraving was pressed, were sharp. With each subsequent pressing the lines would become gradually less distinct and the value of the finished engraving subsequently lower. Many engravings in the collection are finished by the application of watercolours. All the 18th and 19th century examples, both coloured and monochrome, are extremely sensitive to light and must be displayed in carefully controlled locations under special UV-resistant light. 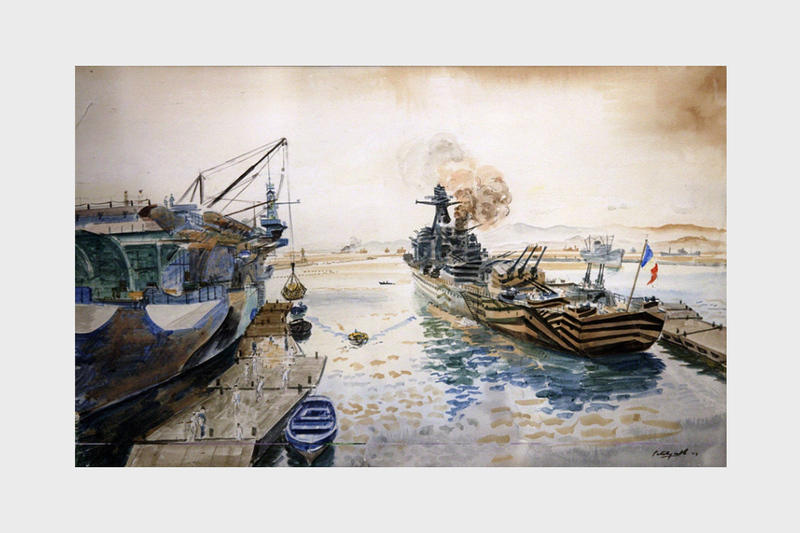 Roland Vivian Pitchforth was an official war artist, firstly, for the Ministry of Information, and then later for the Admiralty, under the aegis of the War Artists’ Advisory Committee. In the early months of his appointment he painted coastal boats in action and travelled on convoys to the Azores and Gibraltar. Towards the end of the war Pitchforth was sent out to the Far East, and witnessed the culmination of the Burma campaign. As a temporary captain in the Royal Marines he made numerous watercolours of Colombo Harbour in Ceylon before joining the combined amphibious and airborne attack on Rangoon. On his way to the Burmese capital with his commando unit Pitchforth was asked to paint camouflage on to the amphibious craft to minimise the threat of airborne attack, and this proved highly effective. This watercolour is particularly interesting for its depiction of ‘dazzle’ painting, a technique designed to disguise the hulls of ships and render them less visible as targets. On 18 September 1940 the ‘Gloire’ was intercepted by the British and brought to port in Casablanca where she was neutralized. 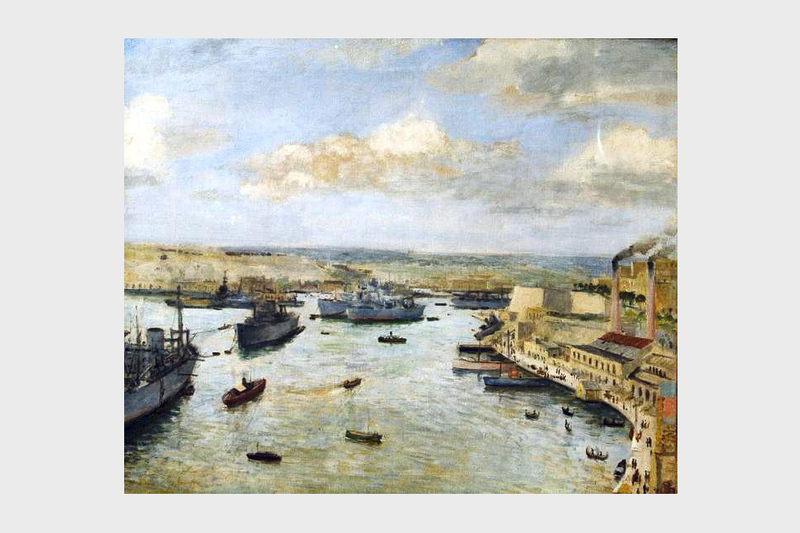 The artist was commissioned to observe the activity of the Royal Navy in and around the Mediterranean from 1940 to 1944. Bernard Hailstone belonged to the group of early 20th century artists whose best known work was done during World War 2. He was known for his portraits of royalty, members of the Armed Services, musicians and personalities of stage and screen. Among the most memorable are his portraits of Sir Winston Churchill, Peter Ustinov and Sir John Barbirolli. His portrait of Lord Olivier now hangs in the bar of the Garrick Club. 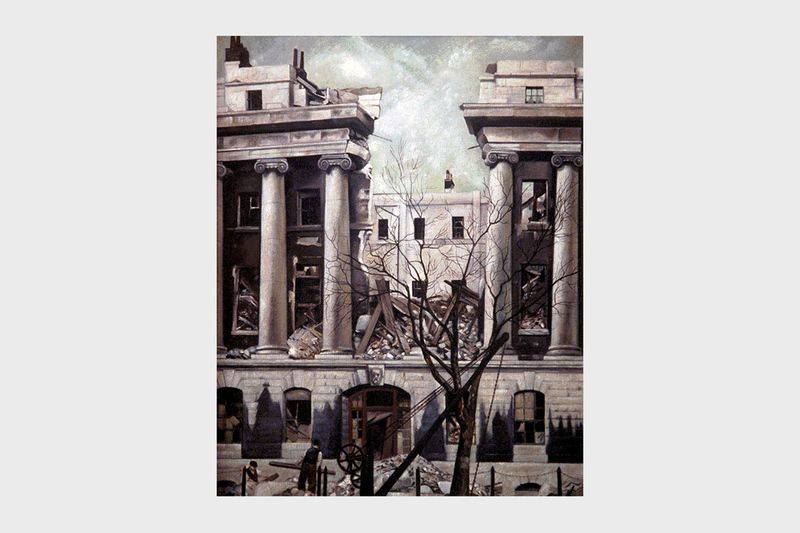 In 1941 the War Artists Advisory Committee commissioned Hailstone to paint civil defence subjects. He joined the Auxiliary Fire Services and witnessed at first hand the horrific destruction caused by bombing during the Blitz. 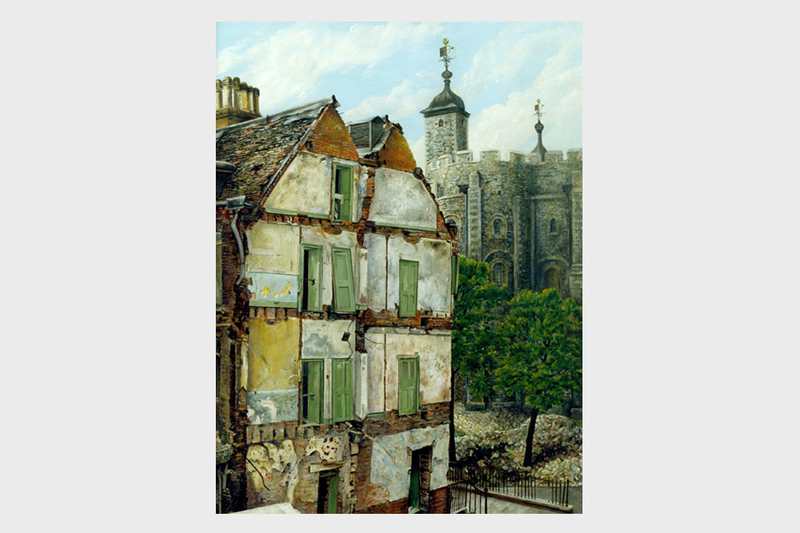 He would set up his easel among the bombed London churches and smouldering buildings when there was a lull in the raids. He supplemented these works with portraits of his colleagues in the fire services and other war workers. 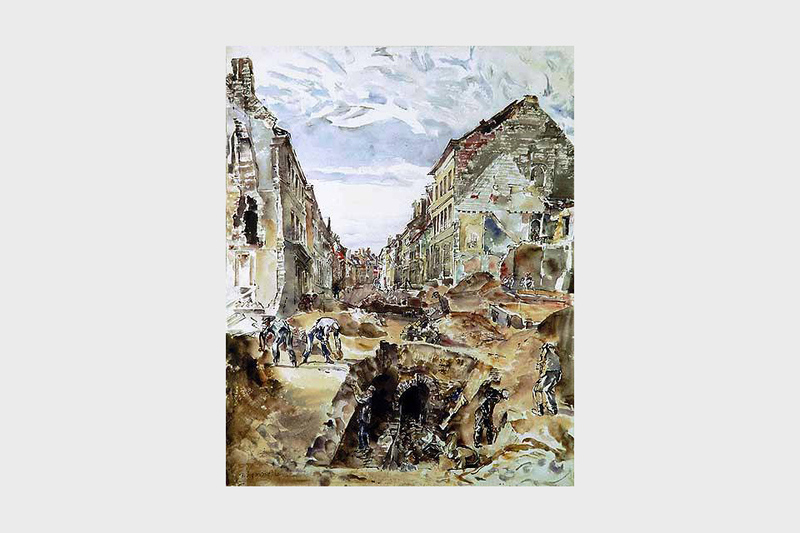 His work came to the notice of Kenneth Clark, who in 1941 asked him to become an official war artist to the Ministry of Transport. During this period he recorded the life of the Atlantic and Mediterranean convoys. Throughout the rest of the war Hailstone travelled around the Mediterranean and North Africa recording the activities of the mercantile navy. 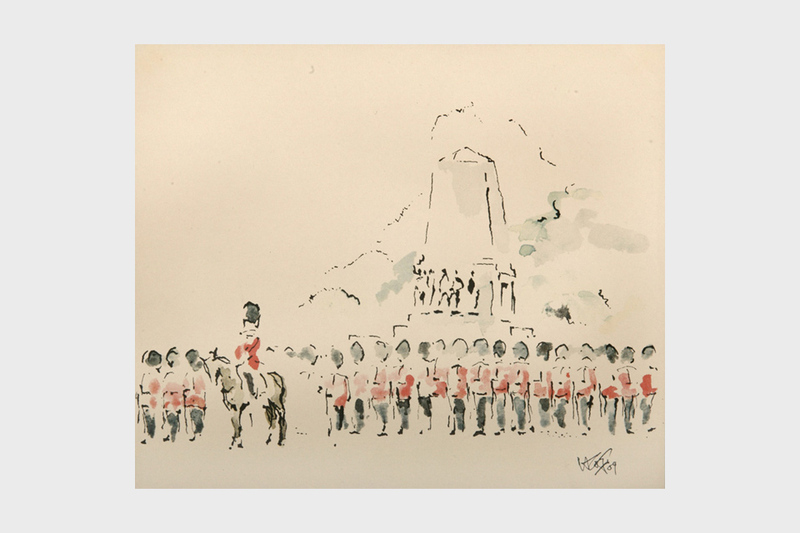 No introduction to the MOD art collection would be complete without mention of Nelson. 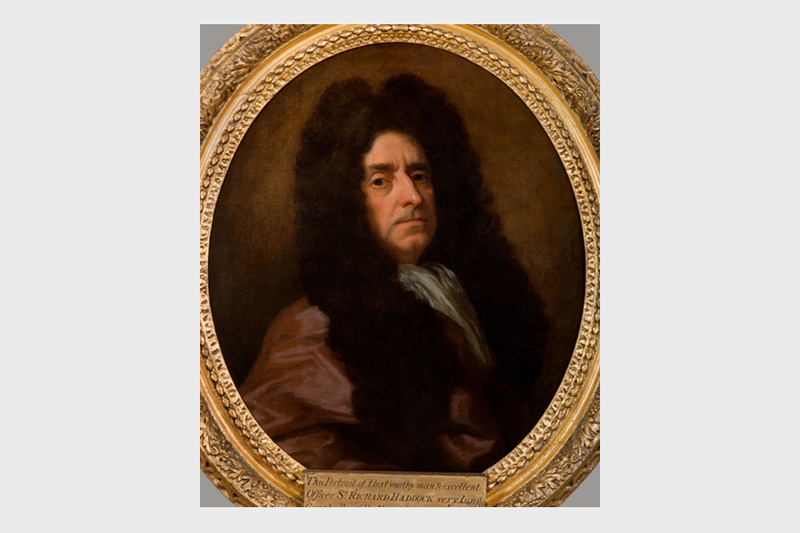 This portrait by the Neopolitan artist Leonardo Guzzardi hangs in the Admiralty Board Room off Whitehall. This work was originally owned by Sir William Hamilton. After his death it found its way, via a nephew, to a hotel in Milford Haven - from where it was bought by the Admiralty Board in 1847 in order to balance a portrait of William IV. Hamilton said, of this work, “It is, of my friend, the most like”. Lord Nelson’s physical appearnce has been the subject of scholarly debate for many years. This portrait is therefore particularly significant in this connection. This section includes some of the very best works of art and historic objects in the archive, all of which have little in common other than the fact that their provenance usually includes, at some stage, the desire of a previous owner that they should come into the care of the Admiralty, the War Office or, more recently, the MOD. The collection encompasses a number of medals and badges. Among the best are a series of Admiralty Messengers’ badges. This example is one of a set of 4 made between 1820 and 1827. Each badge is hallmarked and carries the London assay mark. Two of the badges have a pendent greyhound made of silver. The marker’s mark is identical on all 4 badges, consisting of the letters ‘JA’ in rectangular cartouche, which identifies them as the work of Joseph Angell. 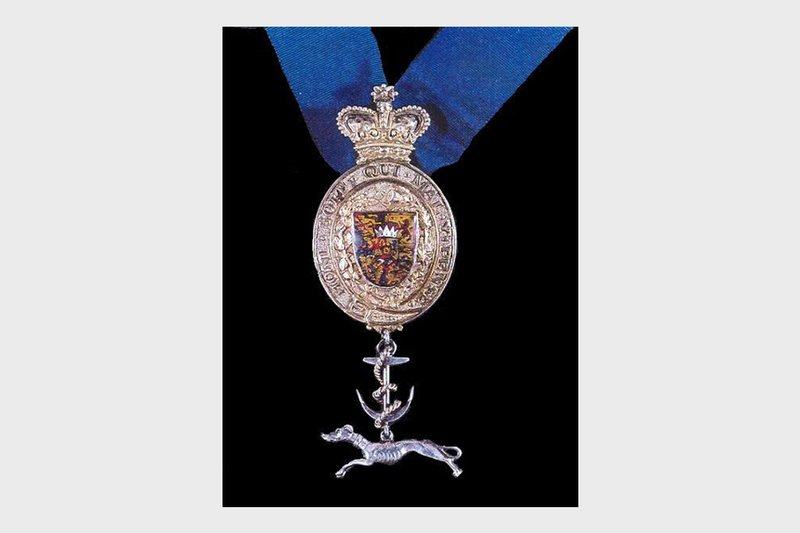 The Admiralty Messengers’ badges identified the bearer and acted as a form of guarantee of despatch and delivery. This Admiralty ‘large’ pattern badge displays the various royal emblems of different parts of the United Kingdom: the 3 lions of England in the first and fourth quarters, the lion of Scotland in the second and the harp of Ireland in the third. It is surrounded by a garter bearing the motto “Honi soit qui mal y pense” (Evil to him who evil thinks). The most significant paintings of the MOD art collection are those commissioned by the Admiralty from the artists accompanying the voyages of exploration of Captains Cook and Flinders. The best of these are on loan to the National Maritime Museum at Greenwich. 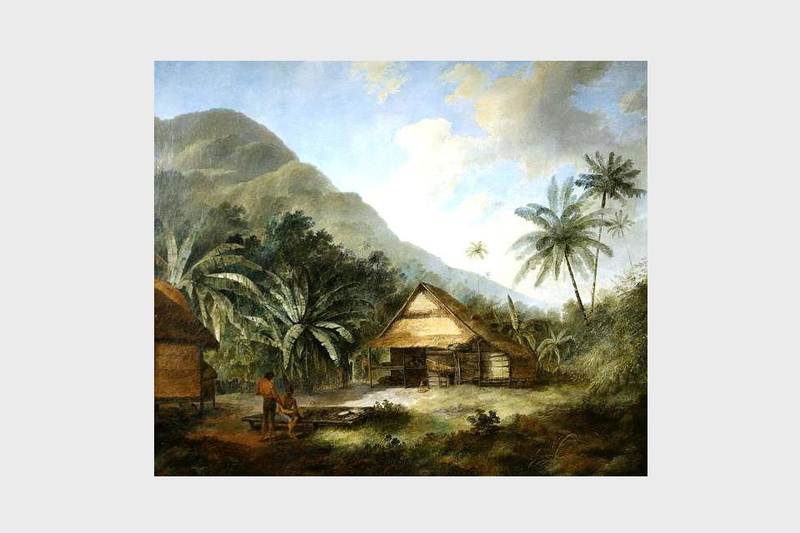 Hodges’s paintings of the Pacific celebrate British exploration. He was appointed by the Admiralty to record the places discovered on Cook’s second voyage, undertaken in the ‘Resolution’ and ‘Adventure’, 1772 to 1775. Cook’s main purpose on this expedition was to locate, if possible, the much talked-of but unknown Southern Continent and further expand knowledge of the central Pacific islands. Hodges’ records of coastal profiles were in part important for navigational reasons. This was primarily in the form of drawings, many later converted to engravings in the official account of the voyage. He also completed oil paintings on the voyage but most, especially these larger ones, were painted in London on his return. The ‘Resolution’ shown in a wild storm with three waterspouts, off Cape Stephens, the northernmost point of D’Urville Island, at the top of the South Island. The incident took place in May 1773, during Captain Cook’s second voyage to New Zealand. The blackened sky is pierced by flashes of lightning which have struck the Maori ‘pa’, or fortified settlement, precariously balanced on the promontory to the right. Four waterspouts appear to be depicted, the principal one in the left foreground spiralling towards the sky and the others near the ‘Resolution’. In 1801, at the age of 19, landscape artist William Westall found himself aboard the Investigator, the ship that Matthew Flinders was to command on his voyage of discovery to Terra Australis. He, along with a team of artists and botanists produced a splendid visual record of Australia. Flinders’ voyage was intended to capitalise on Cook’s discoveries some years earlier. In particular, Flinders was anxious to discover if Australia was bisected by a navigable waterway which would have huge benefits for trade routes. This voyage, however, was not as successful as Cook’s. Flinders explored Shoalwater Bay in 1802, landing on Akens Island (a small island on the western side) and exploring the head of the bay. 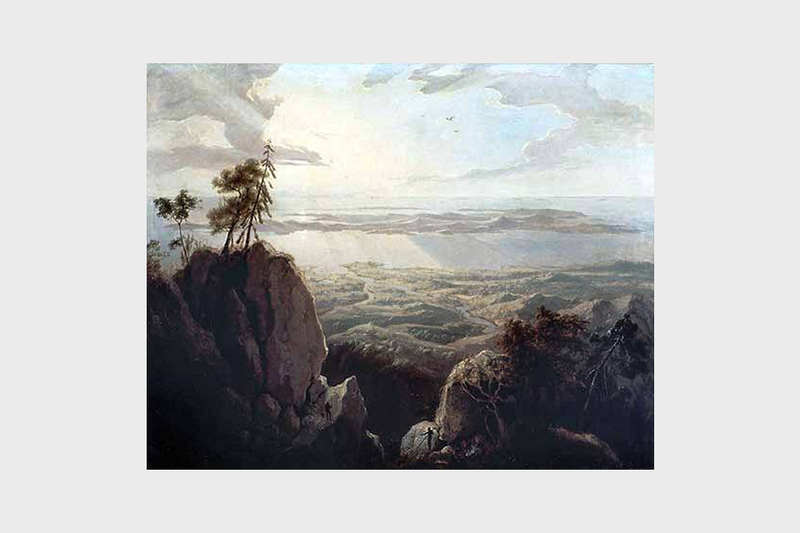 After his return to England he produced 9 landscapes. He worked on them for 3 years, completing the last in 1812. Westall shows scenes emphasising the strangeness of the explorers’ discoveries, as can be seen from this painting, which hangs in Admiralty House, Whitehall. Westall never fulfilled his early promise of becoming mainly a book illustrator. He died in 1850 aged 68. This engraving, after the famous Dance-Holland portrait, is particularly interesting because it is decorated with Cook’s own seal. Little is known of its provenance, but it appears to have been a donation in the early 20th century and has hung in a succession of Whitehall offices for many years. The work of Eric Ravilious is represented by a single work in the collection- but one often considered to be among the very best of his wartime output. In February 1940 Ravilious visited the Kent coast where he encountered the subject of this painting. One of the few war paintings where human activity is central to the picture, it shows a mini-expedition to defuse a German magnetic mine on the oyster beds at Whitstable, only the second to be washed up on English shores. For this exploit, two naval officers, Commander Obbard and Lieutenant West, were each awarded the Distinguished Service Cross (DSC). The picture was shown at the first War Artist exhibition, under the title of ‘Rendering Mines Safe’, later officially changed to ‘Dangerous Work at Low Tide’. 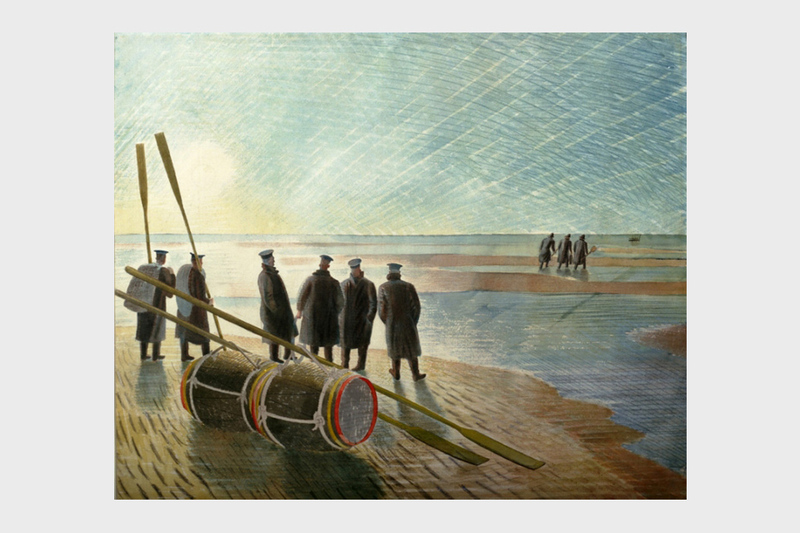 Eric Ravilious was among the most foremost of English artists to emerge between the wars. His body of work was wide ranging and multi-faceted: murals, watercolours, wood engravings, painting, lithographs to ceramic design. His illustrations and designs for Wedgewood still influence a generation of designers today. Ravilious was commissioned as a war artist at the end of 1939. Assigned to the Admiralty along with John Nash, they were both appointed Captain, Royal Marines. Although he produced an extraordinary body of work he was unable to fulfil this great promise due to his tragic death while on service as an Official War Artist in 1942, aged 39. The defences at Fort Southwick were thought to be extremely advanced in design, allowing for ease of access to fortification points as well as living quarters which could be easily supplied and cleaned. The MOD’s horological collection is extremely important. It falls into two main parts: the maritime clocks and chronometers with many having specialised functions, and the longcase and bracket clocks. They are in many offices, residencies and meeting rooms and several have been in roughly the same place for a nearly a 100 years or longer. 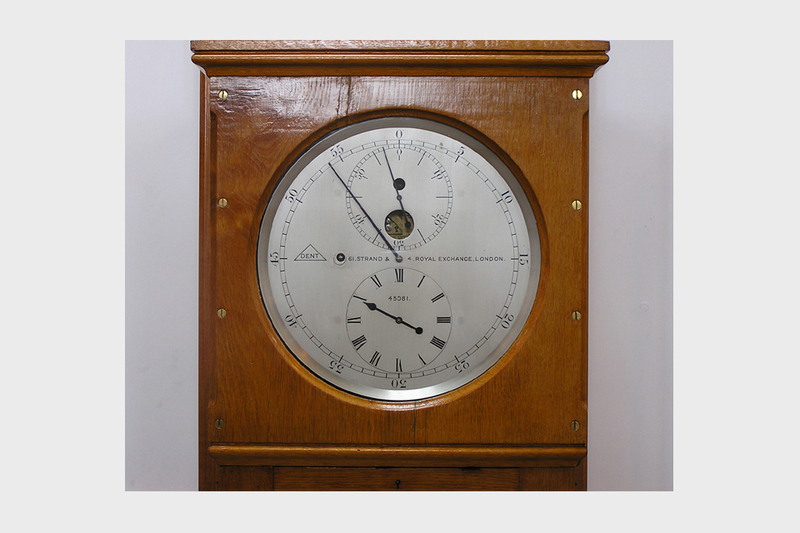 Most of the specialised marine regulators, chronometers and clocks are on long term loan to the Royal Observatory at Greenwich and to various other public collections where access to the general public and to the specialised researcher is easily achieved. 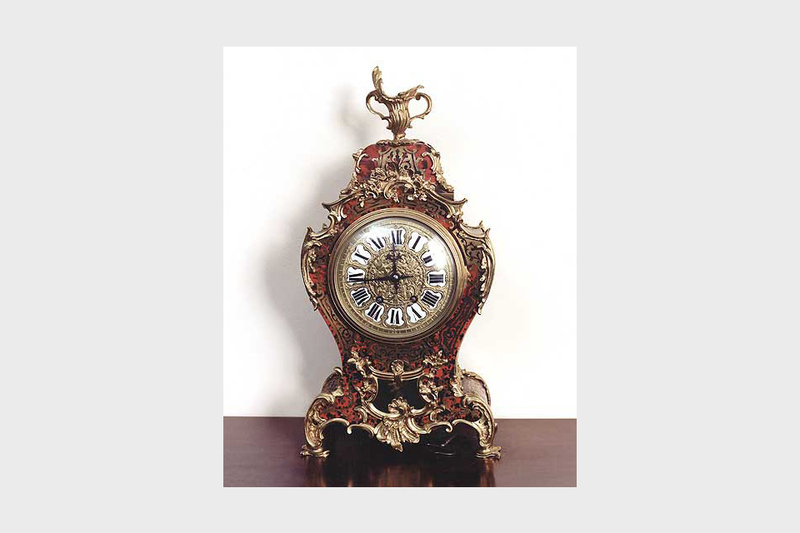 This ornate clock was made in France in the later 19th century with decoration invented by Charles Andre Boulle. The preparation of a Boulle case was extremely demanding; patterns of enamel and brass were applied to curved surfaces. The clock is decorated in red lacquered enamel and gold markings. Surmounted by a gold ornament it has a brass dial with black hands and Roman numerals on white background, enclosed with a glass hinged bezel with a brass surround and a small square hole at the base of the front showing sun dial pendulum. For some years this clock has been displayed in the office of the Chief of Defence Staff. Tavern clocks were so called because of their easily legible dials. In the late 1790s the government, anxious to increase revenue, levied a tax on the ownership of clocks. In order to alleviate the unpopularity of the tax, certain clocks were nominated for public access. 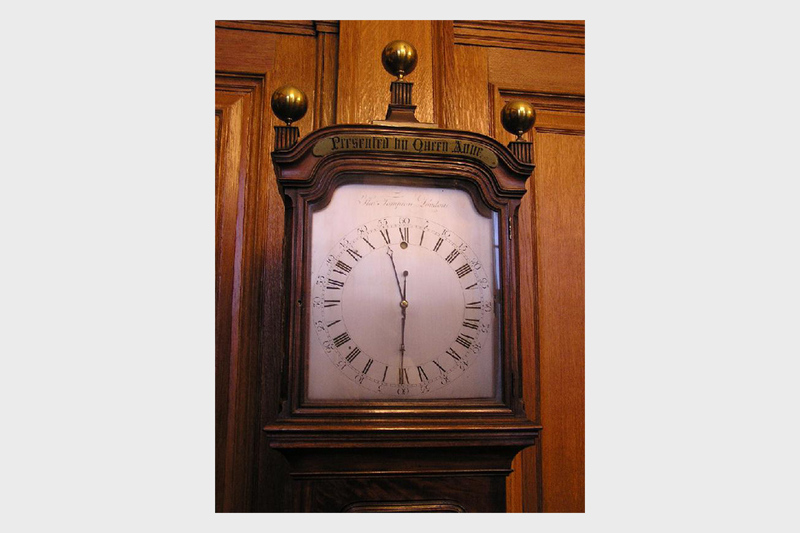 This example, the Admiralty’s clock, hung in Whitehall for public consultation and remains there today. 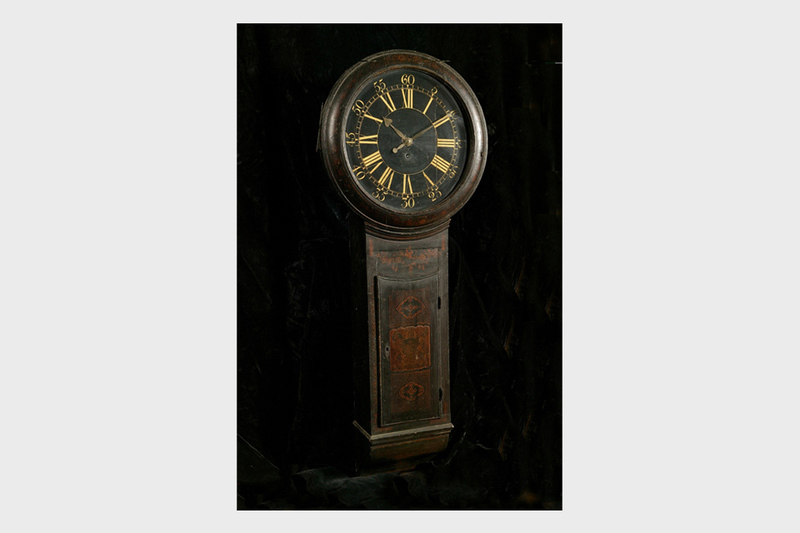 The clock has a large black circular dial with gilt hands and gilt Roman numerals/seconds. The dial is enclosed by a glass hinged bezel with wooden surround and an ebonised/ lacquered oak case with door to the front, for access to the interior. Heavily detailed decorative patterns and floral lozenges above and below a coat of arms. There are also small pocket doors to each side of the dial and is weight driven with an 8 day movement. Unfortunately, since the MOD art collection exists to preserve its current items rather than to spend scarce cash on acquiring new ones, contemporary peacekeeping activities of the Armed Forces are not well represented. It is hoped that in future years the collection might expand to include more images of early 21st century operations. 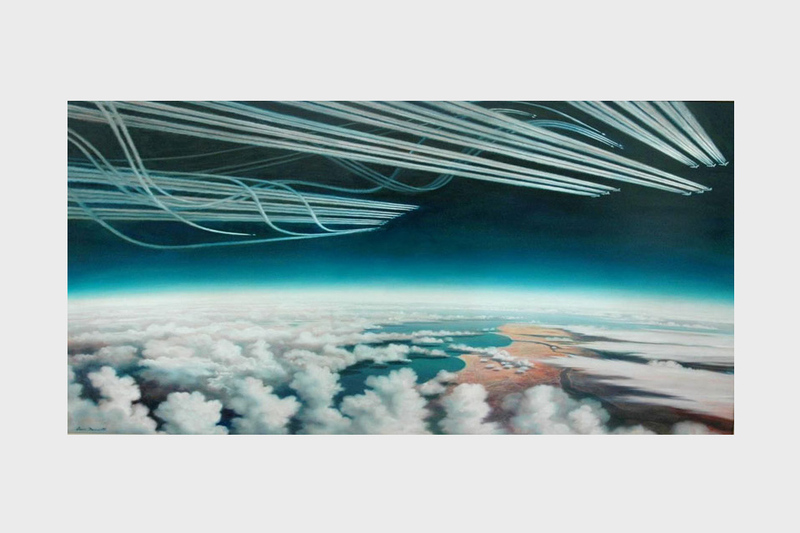 Painted during the Cold War, Global Power is a dramatic painting which depicts a fleet of B-47 jet bombers flying high above the American continent. This painting was presented to the Royal Air Force by the United States Air Force. Fausett died in December 1998 at the Mountain View Centre in Rutland, Vermont. The Portland stone cenotaph was erected in 1926 on Horse Guards Parade and dedicated to the 5 Foot Guards regiments of World War 1. The bronze figures were cast from guns from the Great War. This small watercolour is one of a set of 6 within the Collection. The most significant paintings of the MOD art collection are those commissioned by the Admiralty from the artists accompanying the voyages of exploration of Cook and Flinders. The best of these - mainly the works of the artist William Hodges, showing the discoveries of Cook’s second voyage - are on loan to the National Maritime Museum at Greenwich. When the survivors of Cook’s team returned from their third voyage of exploration, Cook himself having been killed in a skirmish in Hawaii, they were famous. Pictures and descriptions of strange and exotic lands, people and animals gave rise to a thriving business in the sale of engravings. This painting and others in the series were exhibited by Webber in the Royal Academy Exhibition over several years. As part of the commission the original paintings reverted to Admiralty ownership. The view is of two huts, the large one containing stores, and an open air trestle with objects. A century later one of the most powerful volcanic explosions in the history of the world occured at Krakatoa, a volcanic island located between Java and Sumatra. In 1883 there was a series of eruptions from May until 27 August 1883, when an explosion blew the island apart. 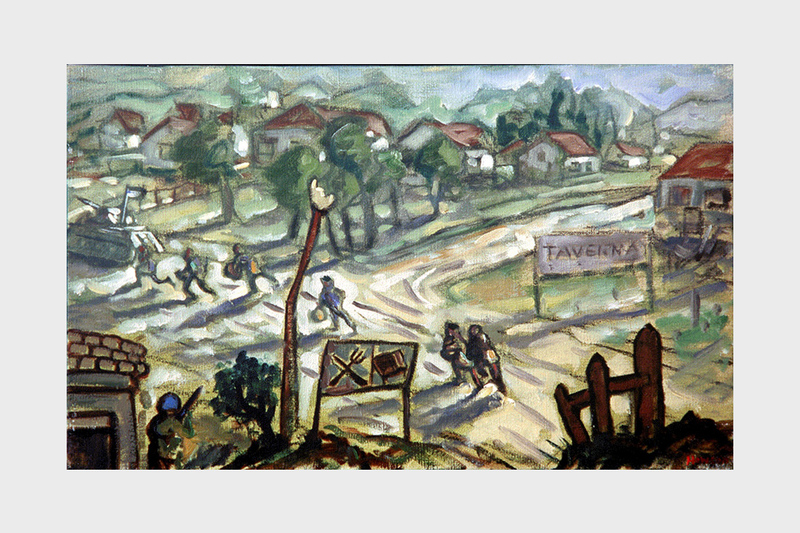 In June 1944, the War Artists Advisory Committee sent many of its artists to France, to witness and record the D-Day and the Normandy invasion first hand. After painting images of the preparation for invasion in Allied bases in England, Thomas Hennell arrived in Normandy on 16 June, just as the Allied breakout from the coast began. The breakout lasted well into August with vicious and desperate fighting leaving devastation across the French summer countryside. Following the Allies, sometimes only a few miles behind the front line, Hennell recorded the aftermath of the towns caught in the wake of destruction. He painted images such as the captured V-bomb launch sites, German coastal defences, Pegasus Bridge and several scenes around Nijmegen. In Burma Hennell painted scenes of the liberated British soldiers and their prison camps. At the end of the war he stayed on with friends in Indonesia where he was caught up in the Indonesian uprising against the Dutch. In November 1945 Thomas Hennell was officially reported missing. There were reports that he was mistaken for Dutch and held hostage before being killed by hostile Indonesians in the jungle but nothing was substantiated. In death, as in life, this artist remained enigmatic. The non-maritime horological collection includes many masterpieces including this Tompion regulator presented to Queen Anne during her appointment as Lord High Admiral in 1708. It is a longcase regulator with a 24 hour graduated chapter ring, counter balance minute hand and a silvered dial with black hands and Roman numerals. It has a moulded mahogany case with panelled plinth and arched trunk door, the hood with canted corners and brass ball finials and with a presentation inscription: ‘Presented to Queen Anne’. Thomas Tompion (1639 to 1716), who worked in London’s Fleet Street, was one of the greatest clock and watchmaker’s whose attention to detail was legendary. His work represents the supremacy of English horology in the 18th century. His achievements include making the first clocks for the Greenwich Observatory in 1676. This technical clock is displayed in the Historic Dockyard at Portsmouth. It was made in London during the 1820s by the clockmaker E Dent. Regulators are extremely accurate clocks and designed as the standard by which other timepieces are set. Most regulators, including this example, are weight-driven and have a deadbeat anchor escapement which maintains power. This particular model is known as the ‘Portsmouth Standard’ and was originally connected by a wire to the Portsmouth post office and then to the Royal Observatory at Greenwich. In 1843, public acclamation of Nelson as hero was at its height. 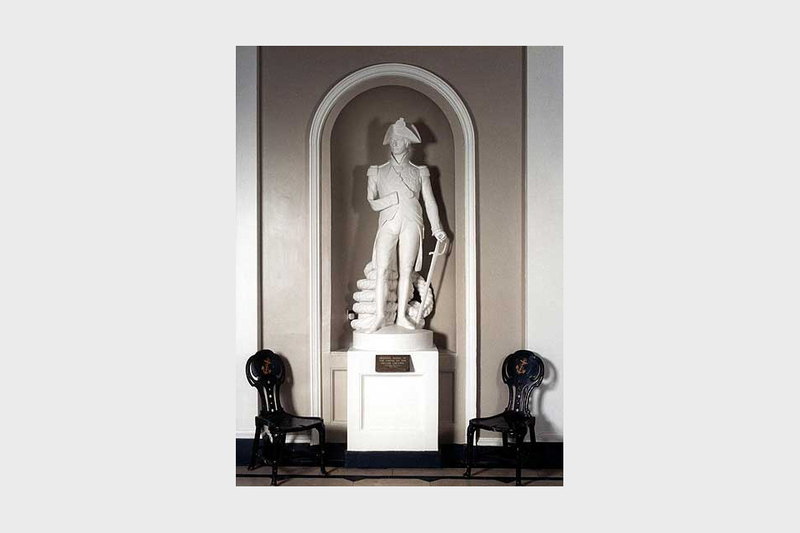 A public subscription was set up and the sculptor Edward Hodges Baily was commissioned to produce a statue of the Admiral, to be placed in a square named after his most famous battle. The result was the production of Nelson’s Column. The sculptor gave his model - also known as a maquette - to the Admiralty. It now stands on the foyer of the former Old Admiralty Building, Whitehall. 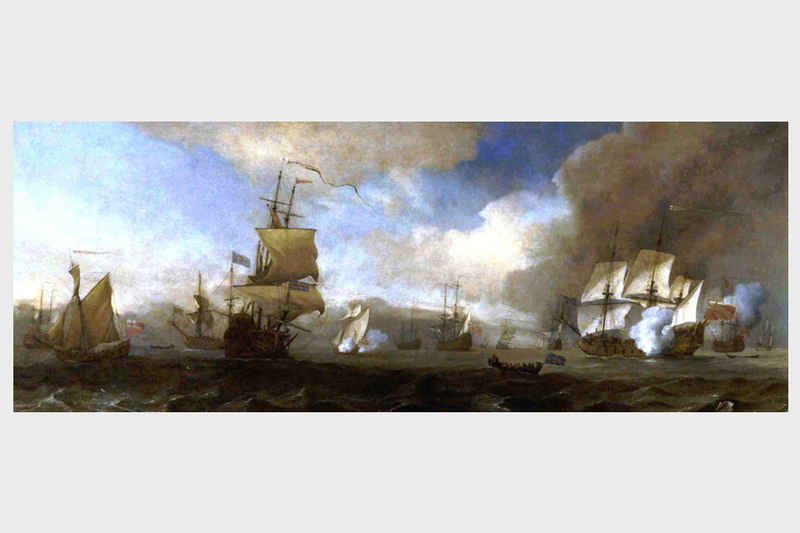 The MOD art collection includes many paintings showing battle scenes, particularly naval battles. Battle scenes were potentially lucrative for artists, particularly in the late 18th and 19th centuries as engravings found a ready and apparently unquenchable market. The paintings themselves were avidly commissioned and collected. Ladysmith was subjected to a 4-month siege during the second Boer War and was relieved in February 1900 by Lord Roberts. At anchor off Capetown were two British cruisers, HMS Powerful and HMS Terrible. General Sir George White VC, the British Commander in Natal, signalled the cruisers for assistance, particularly with their long-range guns. Fortunately for General White, Captain P Scott RN of the Terrible was a gunnery expert and he quickly designed a carriage that could hold the 6-inch , 4.7 inch and 12 pounder naval guns in transit and into action. 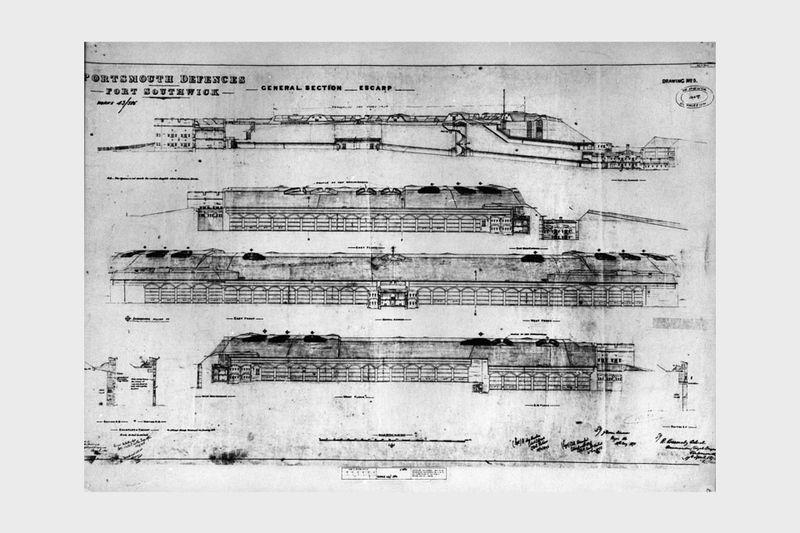 The carriages were then speedily manufactured at the Durban Railway workshops. The contingent was soon ready: 280 officers and men with two 4.7 inch guns, 4 long range 12 pounder’s and 4 maxim guns (early machine guns). The Naval Brigade, as they were now called, went by rail from Durban to Ladysmith with all their guns, ammunition, provisions and equipment. Their train was the last to complete the journey to Ladysmith on 30 October just as the bombardment started. 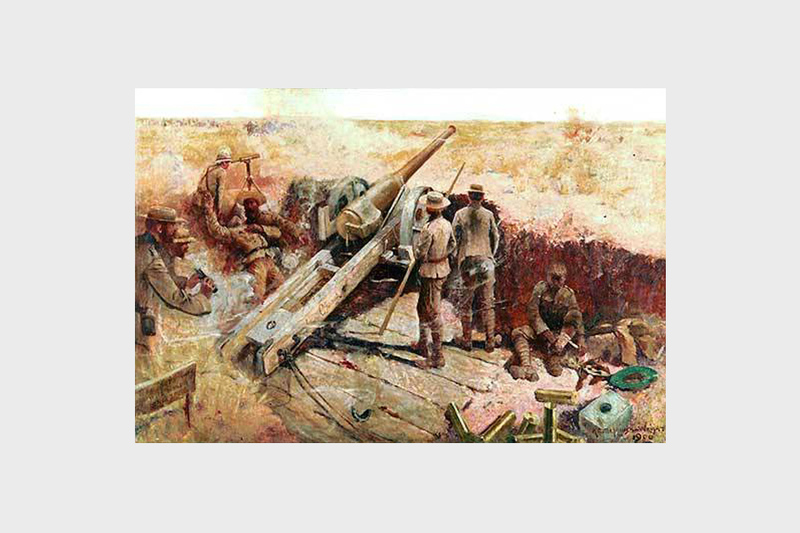 The Naval Brigade were soon in action against the Boer artillery and their long range guns were very effective in countering the enemy batteries and holding them at bay throughout the siege. 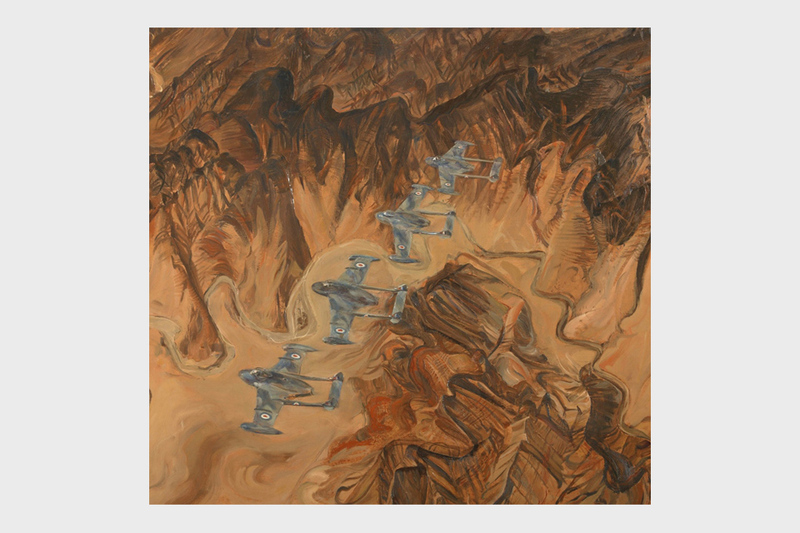 Aerial reconnaissance is shown here in Pamela Drew’s ‘RAF Venoms over Arabia’. It gives a strong sense of the geographical hostility of some of the environments in which our Armed Forces work. The primary role of the Venom was that of a short range, single seat fighter/bomber. With its 20mm cannons in the nose and provision for bombs or rocket projectiles the Venom could be used effectively in either the fighter or the bomber role. From the 31 October 1956 Venoms were used in action during the Suez operations to attack Egyptian airfields. They saw action once again in the summer of 1957 when Nos 249 and 8 Squadrons, based at Khormaksar in Aden, were used against Omani rebels. Other operators of land based fighter bomber Venoms included New Zealand, Iraq, Venezuela and Switzerland. The last Venoms in service were finally retired in 1983. 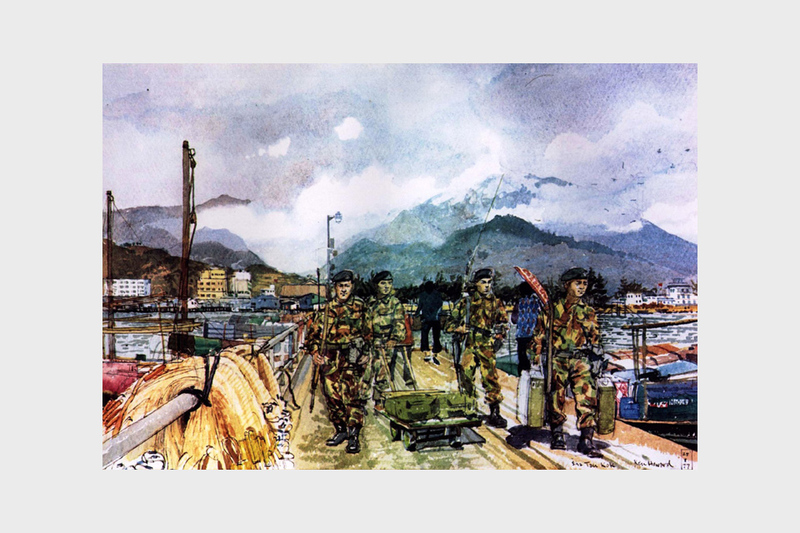 This small watercolour shows routine patrols on the Chinese border early in 1977. The work currently hangs in Government House, Sandhurst. 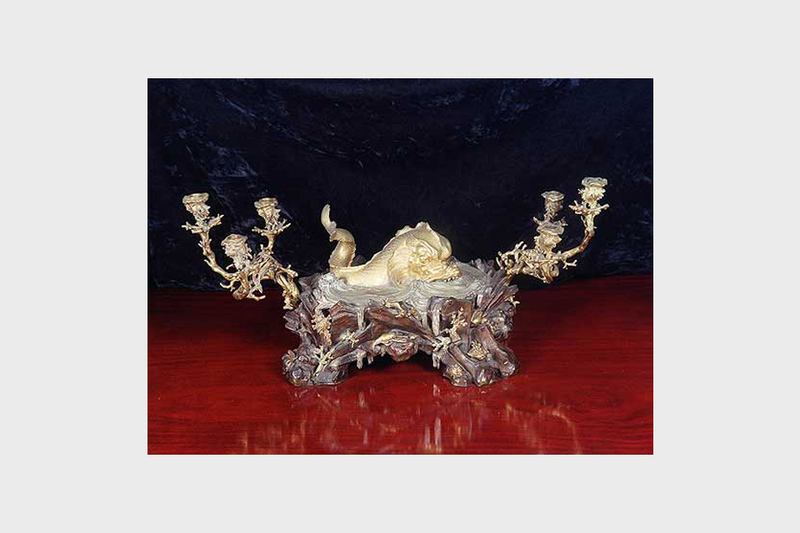 This extraordinary item, which takes the form of a mythical sea-creature surrounded by very detailed crustacea, was among the collection of items commissioned by Mrs Fish for the Admiralty in order to commemorate the death of Nelson. The ‘Fish’ collection included many extraordinary pieces of furniture, all distinguished by their inclusion into the design of mythical sea creatures and was in use in Admiralty House, Whitehall for many years. Many engravings in the collection are finished by the application of watercolours; all the 18th and 19th century examples, both coloured and monochrome, are extremely sensitive to light and must be displayed in carefully-controlled locations under special UV-resistant light. This engraving was made by James Basire (1730 to 1802) from a drawing by S H Grimm, which in turn was taken from an original coeval painting. It was published according to Act of Parliament on 5 July 1781. In the Anglo-French peace of 1514 plans were laid for a meeting between the English and French kings as the final act of reconciliation between the two realms. 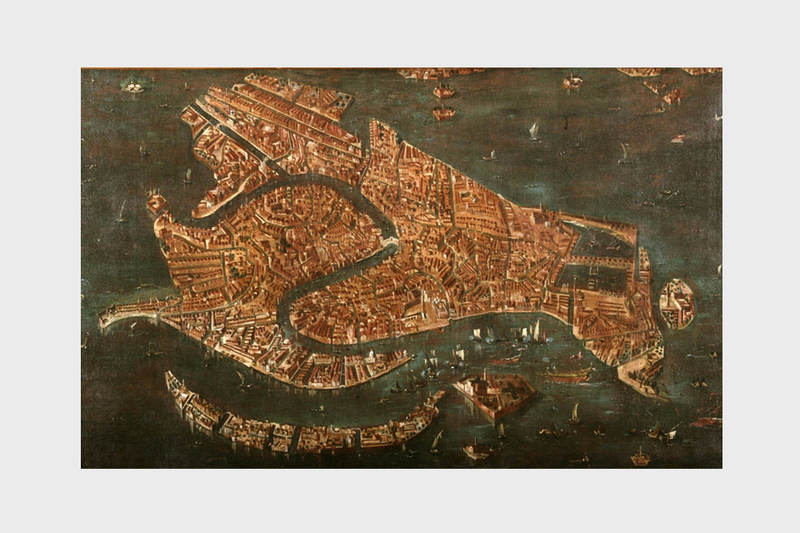 These plans were delayed with the deterioration of relations after the accession of Francis I in 1515. However, the Treaty of London in 1518 decreed that Henry VIII would confer with the new King of France at a meeting in the early summer of 1520. This immensely lavish meeting was due to take place on the French/Calais border at the Field of Cloth of Gold, the focus of which was a series of tournaments designed to end the prolonged hostility between England and France. 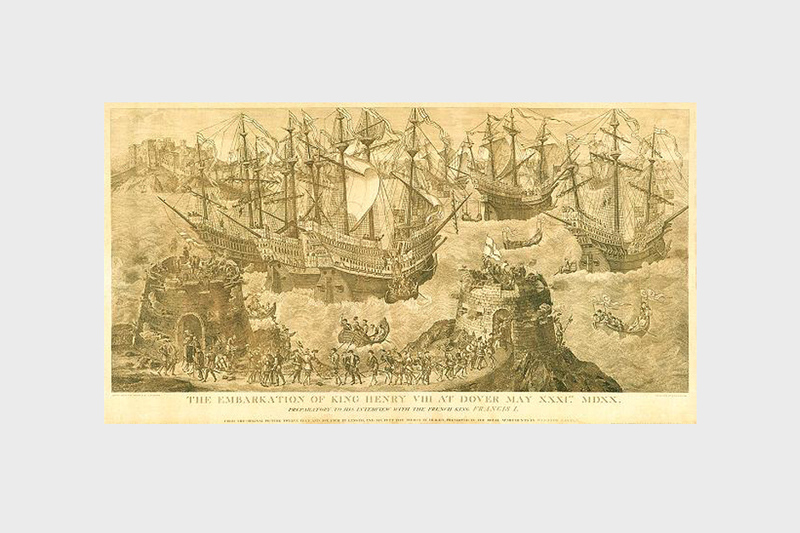 This engraving actually depicts Henry VIII’s embarkation at Dover with his troops, his retinue comprised over 4,500 men and Queen Catherine (of Aragon) took a similar number, including her ladies of the bed chamber. Three thousand horses were shipped over not merely for transportation purposes but also for use in the chivalrous entertainment that was to follow the historic meeting. The two kings finally met on Corpus Christi day - 2 June 1520. Trumpets sounded, the monarchs embraced, and 3 weeks of festivity, gluttony and hypocrisy began. Only a few weeks later, after all the staggeringly expensive splendour had faded, Henry VIII made a secret agreement with Charles V, King of Spain and Holy Roman Emperor, not to ally with King Francis. England was once more at loggerheads with France. This chilling image shows British troops in Bosnia. They form part of a set of 3 Howson works in the possession of the MOD art collection, and currently hang in a senior Whitehall office. Peter Howson was commissioned in spring 1993 by the Imperial War Museum and Times Newspapers to go to Bosnia. He made two visits to the country in June and December, travelling with the British forces participating in the United Nations Protection Force. In June he went to Travnik, Gornji Vakuf, Prozor and Vitez, but was forced to return early because of illness. When he returned to Bosnia in December 1993 he was accompanied by his friend Ian MacColl who made a video diary of their experiences. In addition to the places he had seen in June, he went to Zenica and observed the work of the UN High Commissioner for Refugees. During the second half of the eighteenth century the tradition arose that an engraver producing an image of an Admiralty subject would present one of the first finished engravings to the First Lord. These ‘first impressions are of extremely fine quality since the engraved lines on the copperplate, from which the engraving was pressed, were sharp. With each subsequent pressing the lines would become gradually less distinct and the value of the finished engraving subsequently lower. Sheerness is a commercial port and main town of the Isle of Sheppey and owes much to its origins as a Royal Naval dockyard town. John Rennie was the 19th century engineer who surveyed and designed a new dockyard for Sheerness. Work commenced in December 1813 and the Duke of Clarence who later became King William IV formally opened the completed dockyard on 5 September 1823. It served the Navy until 1960. 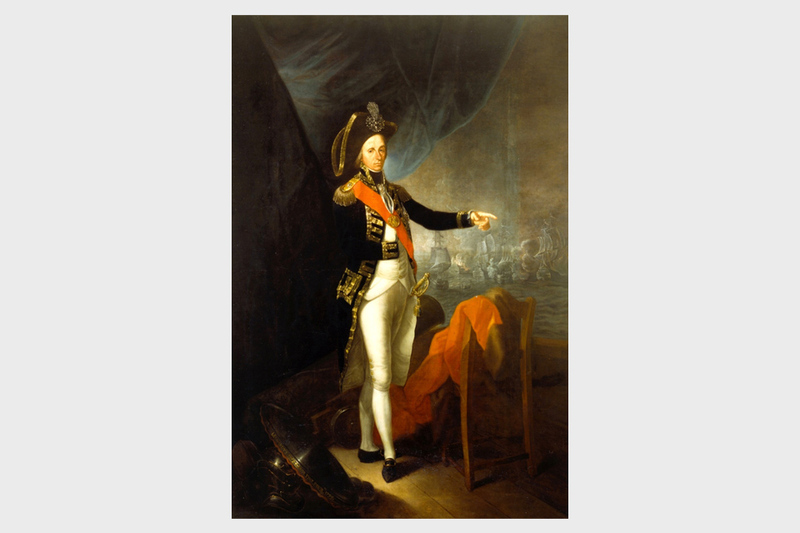 The MOD art collection includes several 100 portraits of varying finesse and interest. All, even those of a lesser artistic technique and political sophistication are cherished and hung in locations appropriate to their subjects. James Inman was associated with the Matthew Flinder’s expedition of 1801. 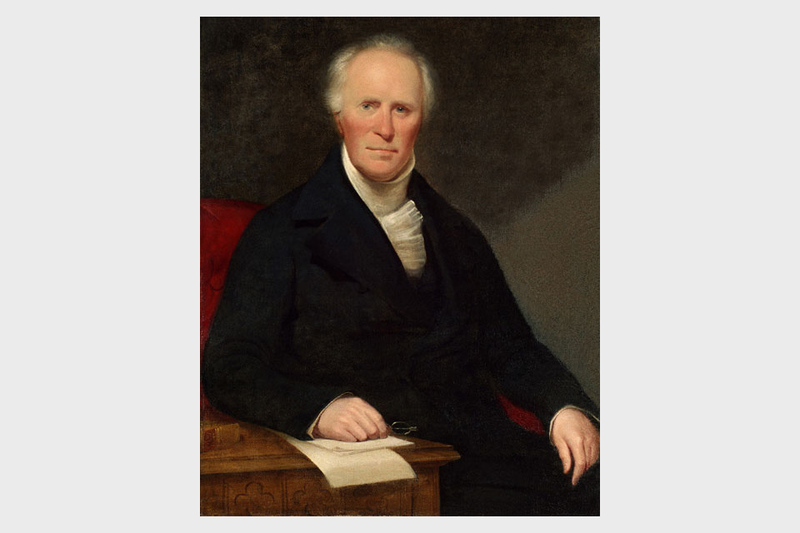 Born in 1776 in Yorkshire, he was appointed to the position of astronomer on the ‘Investigator’ voyage. In 1808 the Admiralty established the Royal Naval College at Greenwich where Inman took up the post of Professor of Mathematics and Naval Architecture. 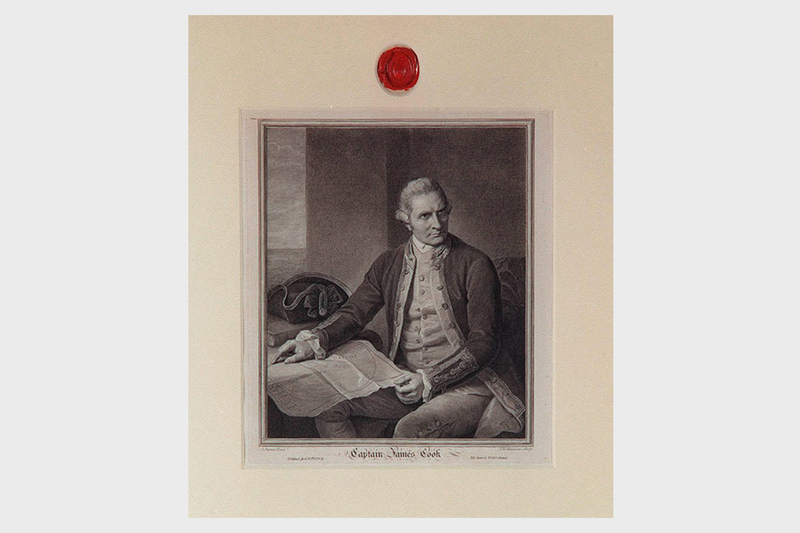 Later he moved to the Naval Academy at Portsmouth where he produced possibly the most famous textbook of the Royal Navy: ‘Navigation and Nautical Astronomy for the use of British Seaman’ in 1821. The accompanying tables - ‘Inman’s Nautical Tables’ - underpinned the standard system in the Royal Navy and in many other navies for many years, well into the 20th century. Sir James Grigg was Secretary of State for war in the Coalition Administration during World War 2. A civil servant who became a minister of Cabinet rank, he also later became a city magnate. Percy James Grigg or ‘PJ’ as he was widely known among his friends, was a brilliant administrator. This painting is set in one of the principal offices of state in the old War Office where Grigg operated at the height of his powers. 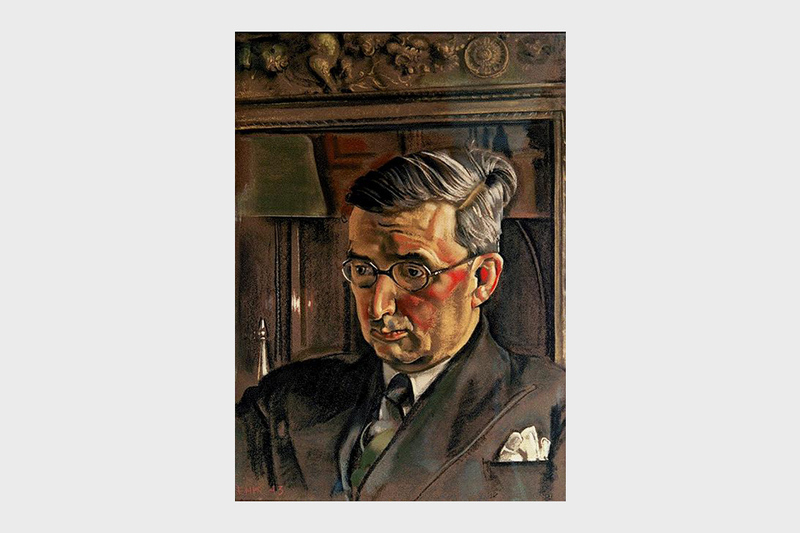 This portrait is also significant not only for the fact that it is the only one in existence of a War Office civil servant, but also that it is painted by Eric Kennington - a war artist who usually painted military portraits. The most significant paintings of the MOD art collection are those commissioned by the Admiralty from the artists accompanying the voyages of exploration of Cook and Flinders. The best of these are on loan to the National Maritime Museum at Greenwich. Hodges’s paintings of the Pacific celebrate British exploration. He was appointed by the Admiralty to record the places discovered on Cook’s second voyage, undertaken in the ‘Resolution’ and ‘Adventure’, 1772 to 1775. Cook’s main purpose on this expedition was to locate, if possible, the much talked-of but unknown Southern Continent and further expand knowledge of the central Pacific islands. 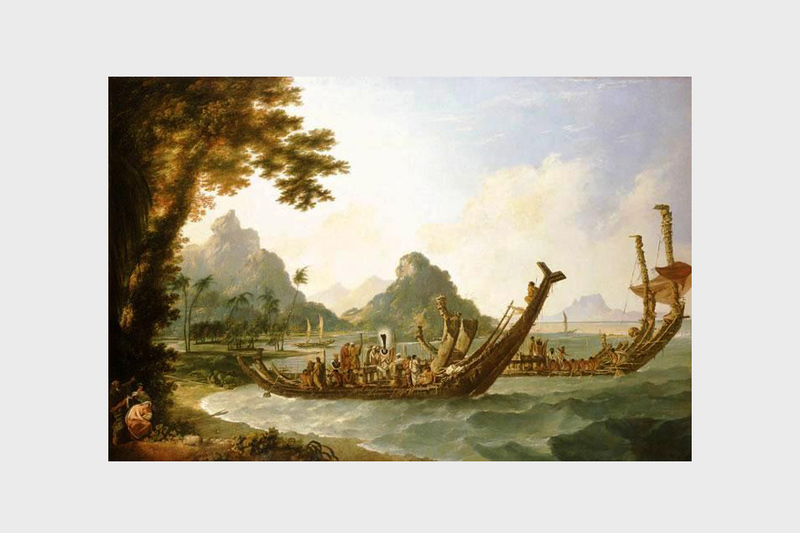 This huge painting is Hodges’ largest from the voyage and illustrates ‘one of the most magnificent sights in the South Sea’. 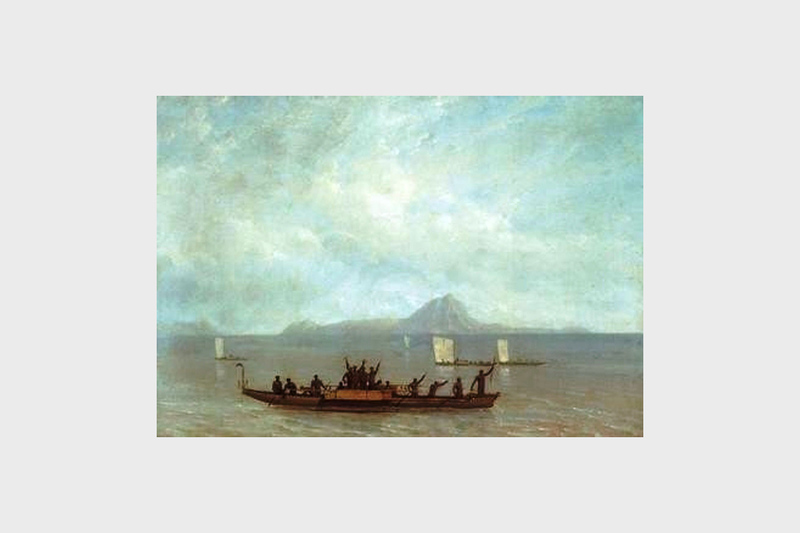 Hodges depicts three war canoes, part of the Tahitian fleet preparing for a punitive expedition against the neighbouring island of Moorea. Hodges’ records of coastal profiles were in part important for navigational reasons. This was primarily in the form of drawings, many later converted to engravings in the official account of the voyage. He also did oil paintings on the voyage but most, especially these larger ones, were painted in London on his return. 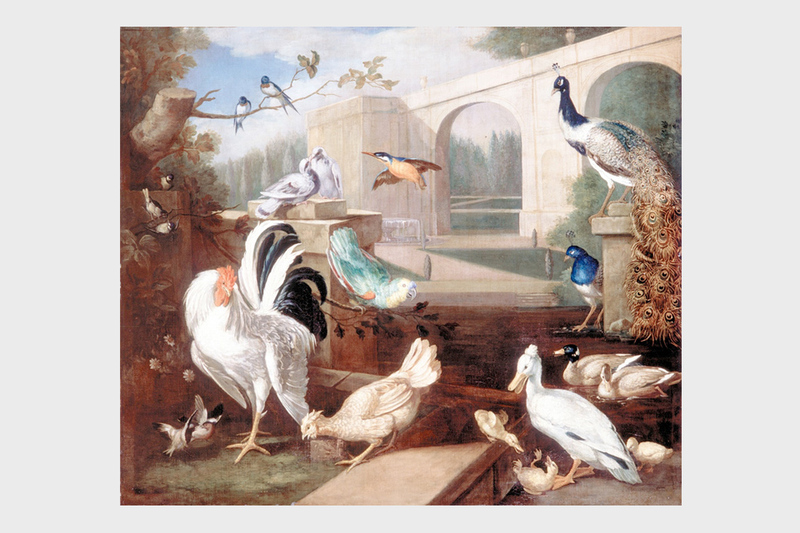 This painting was part of a large restoration project undertaken on 8 extraordinary bird paintings that hang in Amport House. The work was carried out by the conservation studio of Alexandra Walker whose painstaking work uncovered the signature of Tobias Stranover on 3 of the paintings. In each case, several layers of late 19th century varnish were removed and consolidation work undertaken to the painted surface beneath. Several of the paintings were relined before being placed on new stretchers. The finished paintings are now stable and will need no further restoration for many years. They have been returned to Amport House in Andover. In 1801, at the age of 19, landscape artist William Westall found himself aboard the Investigator, the ship that Matthew Flinders was to command on his voyage of discovery to Terra Australis. Along with a team of artists and botanists, he produced a splendid visual record of Australia. Flinders’ voyage was intended to capitalise on Cook’s discoveries some years earlier; in particular, Flinders was anxious to discover if Australia was bisected by a navigable waterway, which would have huge benefits for trade routes. This voyage, however, was not as successful as Cook’s and ended in shipwreck. After his return to England Westall produced 9 landscapes. He worked on them for 3 years completing the last in 1812. Westall shows scenes emphasising the strangeness of the explorers’ discoveries, as can be seen from this painting, which hangs in Admiralty House, Whitehall. Westall did not fullfil his early promise becoming mainly a book illustrator. 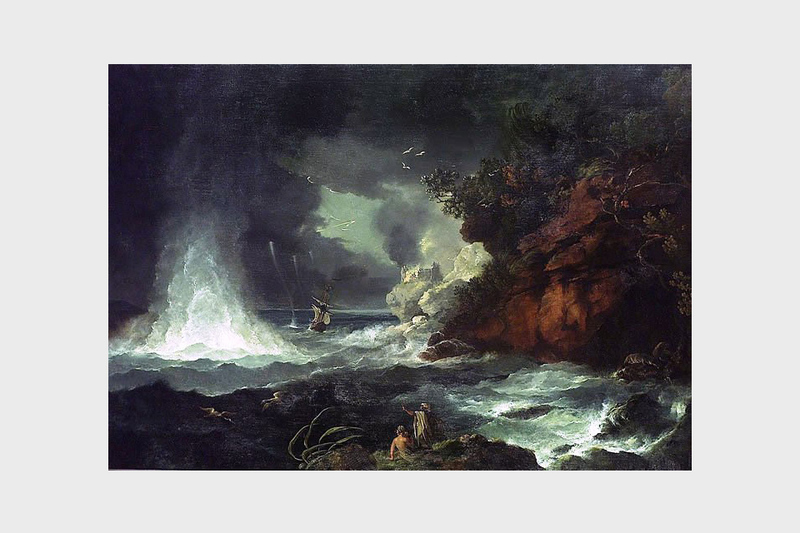 He died in 1850 aged 68 while working on a painting of the shipwreck. 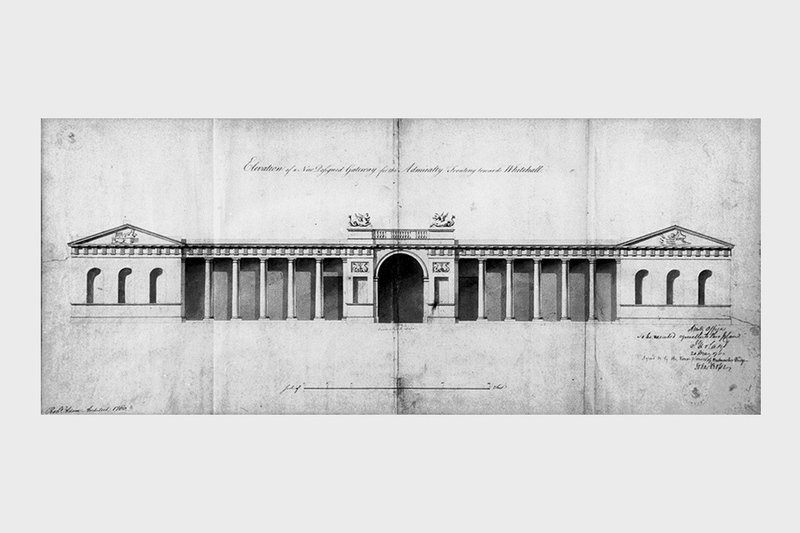 Among the collection of architectural drawings are designs for churches and barracks as well as Robert Adam’s Admiralty screen and other Whitehall-based drawings. Augustus Charles Pugin, a refugee from the French Revolution, was a gifted draughtsman who produced 2 illustrated works on Gothic architecture, which greatly influenced his son (Augustus Welby Northmore Pugin) - the driving force behind the design and ornamentation of the Palace of Westminster. 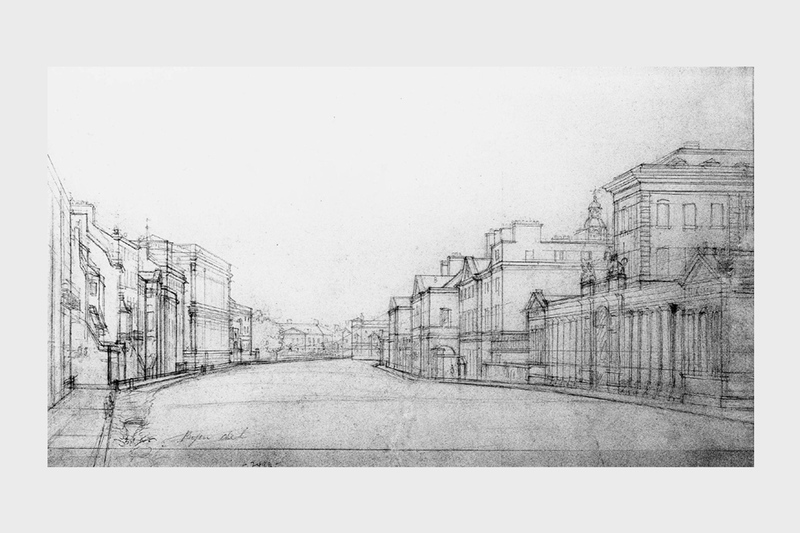 In this sketch the elder Pugin displays an architect’s view of the street and currently on loan to the office of the Adjutant General. This wonderful work shows the destruction suffered after the fall of France. Hennell was much affected by the courage of the French in their efforts to rebuild their infrastructure and this watercolour is is a powerful evocation of the French spirit. The recently liberated townspeople, in spite of the ruined infrastructure of their city, are already flying the flags of liberation and working to rebuild. At the end of the war Hennell stayed with friends in Indonesia, where he was caught up in the Indonesian uprising against the Dutch. In November 1945 Thomas Hennell was officially reported missing. There were reports that he was mistaken for Dutch and held hostage before being killed by hostile Indonesians in the jungle but nothing was substantiated. In death, as in life, this artist remained enigmatic. 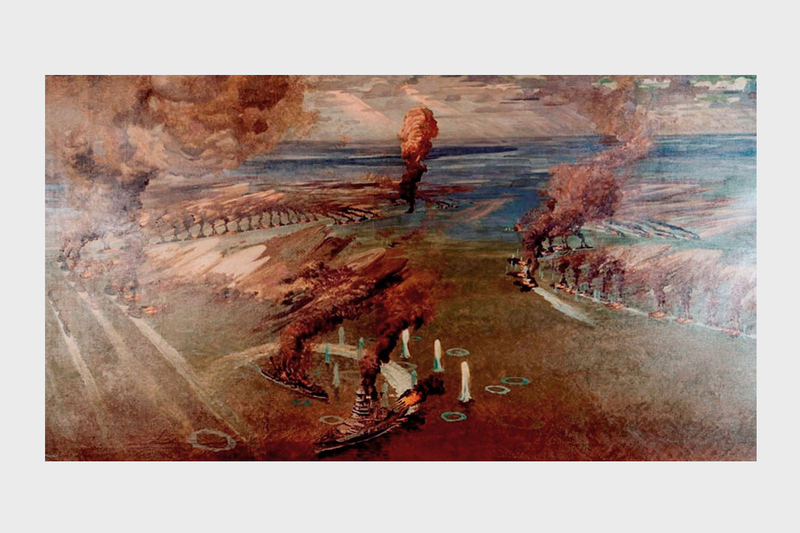 The MOD art collection includes many paintings showing battle scenes, particularly naval battles. Battle scenes were potentially lucrative for artists, particularly in the late 18th and 19th centuries as engravings found a ready and apparently unquenchable market. The paintings themselves were avidly commissioned and collected. 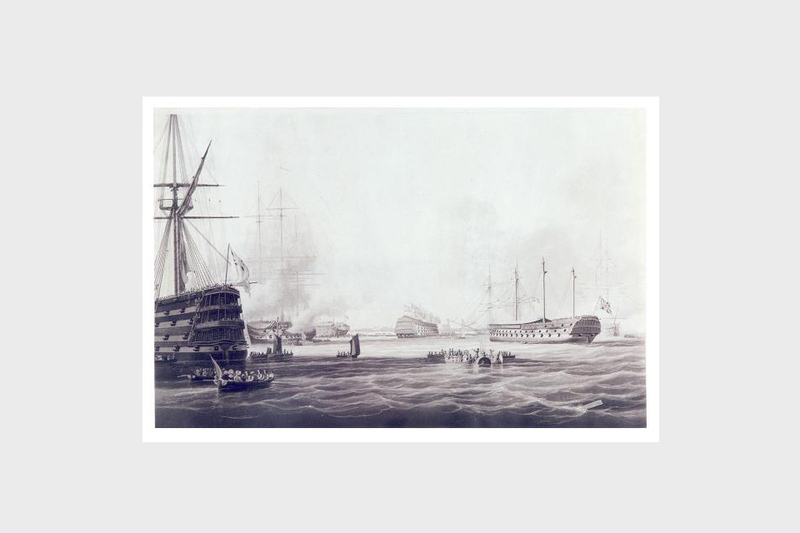 This naval battle, which has attracted a huge amount of academic interest in recent years, established the strategic control of the North Sea by the British fleet and is believed to be one of the first aerial views of a battle. The work is accompanied by a sketch and it hangs in the Joint Services Command and Staff College. Little is known about the circumstances surrounding the origins of this painting. It was probably made for a private commission to show all the ships commanded by a particular captain. It does not appear to depict any particular naval event. The painting is signed and dated and came into the ownership of the Admiralty from the collection of Sir Phillip Stevens, Admiralty Secretary from 1763 to 1795. It hangs in the Admiralty Board Room, just off Whitehall. This huge group portrait - the figures are a little over life size - shows the gentlemen standing around the throne in St James’ Palace. Each officer appointed to this role (an honorary one) had served either in the Crimean War or in the Indian Mutiny. 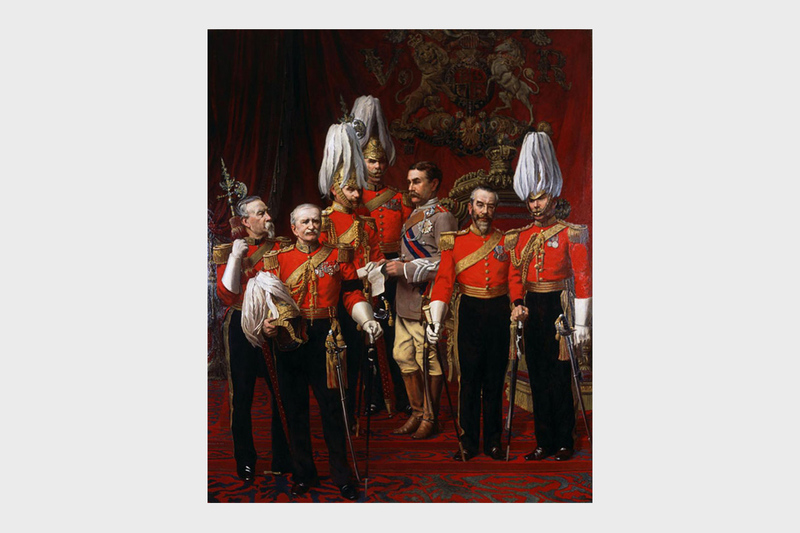 The artist presented the portrait to the War Office in 1902 where it hung for many years outside the office of the Chief of the Imperial General Staff. It now hangs in a military establishment in Wiltshire. During World War 1, Sir Arthur Balfour, the First Lord of the Admiralty, gave permission for Wyllie to cruise in Royal Navy ships. In the North Sea, Harwich, Rosyth, Cromarty, and Scapa Flow, he made hundreds of studies. Wyllie witnessed the German fleet surrender in the Forth and went with the last convoy of battleships to Scapa Flow. As well as this large oil painting, a number of etchings and drypoints resulted from all these cruises. Although not an official war artist during World War I, Wyllie had access to many naval bases and contributed to two books. They were the ‘Sea Fights of the Great War: Naval incidents during the first nine months’, 1918 and 1919. During the mid-1870s Wyllie travelled the length and breadth of the Thames and Medway on a barge, converted into a floating studio, filling sketch books and painting evocative scenes of the naval and merchant shipping. He was elected ARA in 1889, following an exhibition of watercolours at the Fine Art Society. Wyllie’s output was prolific, covering all kinds of maritime subjects but with a great interest in the Royal Navy and historic occasions. 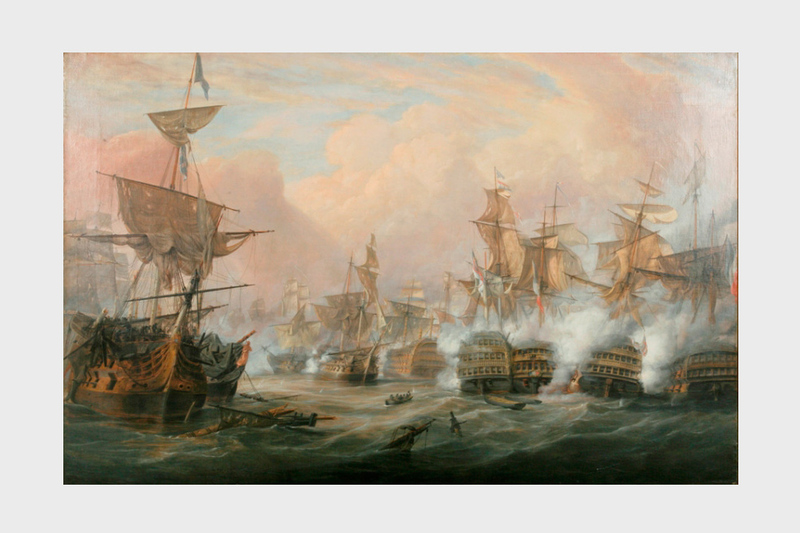 Above all, Trafalgar caught his imagination and shortly before his death he began work on a huge panoramic painting of the Battle of Trafalgar. The painting took 13 months to paint and was unveiled by King George V in 1930 in what is now the Royal Naval Museum. 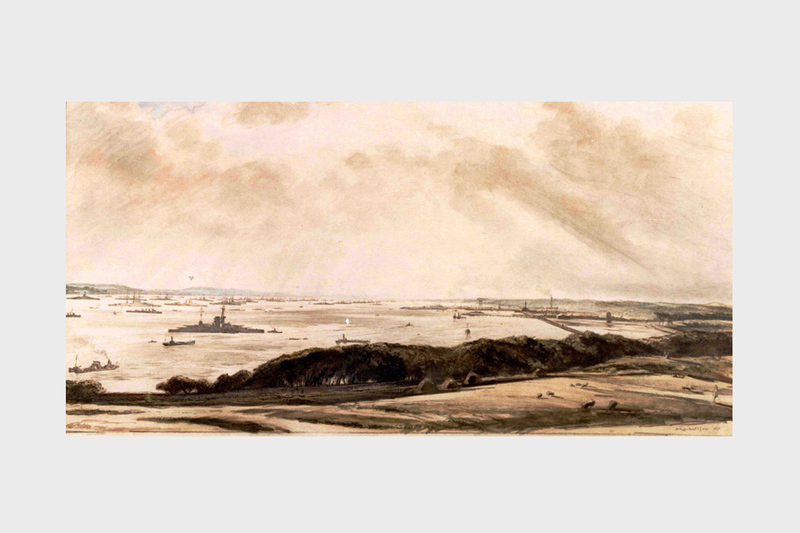 Wyllie painted almost to the day he died and is buried in Portchester Castle overlooking the Solent. Working at considerable speed his sketches covered a wide range of subjects, mostly behind the lines, including the work of the medical services, the repair and maintenance of big guns and off duty war weary soldiers. He worked in various media - chalk, charcoal, pencil and pen - sometimes adding touches of watercolour later. Subsequently, Bone illustrated a 2 volume set of books entitled ‘The Western Front’ which was published in 1917. Muirhead Bone also served as an official war artist in the World War 2, by which time he was Sir Muirhead, having been knighted by George VI in 1937. Bone was attached to the Admiralty and was not only the first but also the most senior of its artists. His work was to become the most widely reproduced official war art of the war. 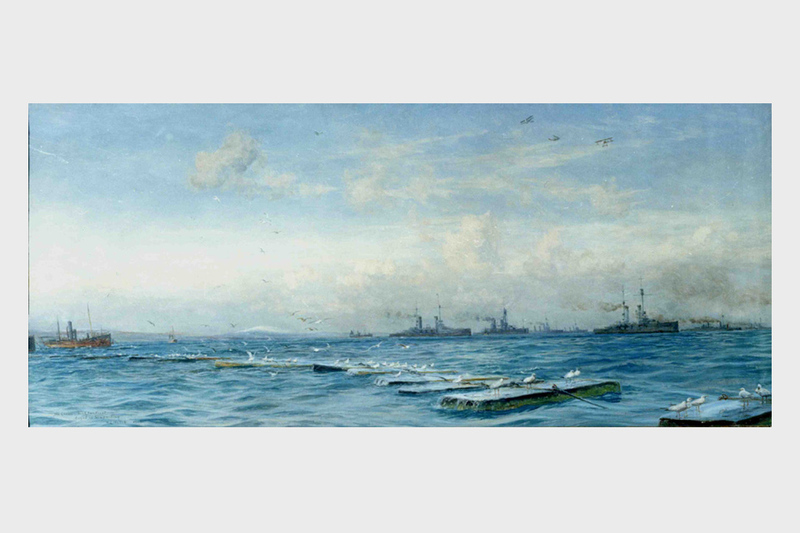 This panoramic view of the Firth of Forth shows no human figures as Bone was more concerned with the positioning of the ships.The fleet rests quietly, preparing as best it can for the unknown. The fleet was based in Scapa Flow, a land-locked area of water in the middle of the Orkney Islands. The channel between Scapa and the Scottish mainland is the Pentland Firth. While waiting for the German high seas fleet to ‘come out’, divisions of battleships would go to sea in turn to do ‘battle-practice firings’ at a target towed – at a very respectful distance – by a tug. The Battle of Trafalgar in 1805 was the deciding event in the Napoleonic naval wars and probably the most depicted battle in British history. The MOD art collection includes 3 significant versions and this one is probably the best. The painting is accompanied by the artists’ sketch, which suggests that he was present at the battle itself, although we have been unable to confirm this. The work was commissioned by a contemporary naval captain and bequeathed to the Admiralty in 1926. This chilling image shows British troops in Bosnia. They form part of a set of three Peter Howson works in the possession of the MOD art collection and currently hang in a senior Whitehall office. 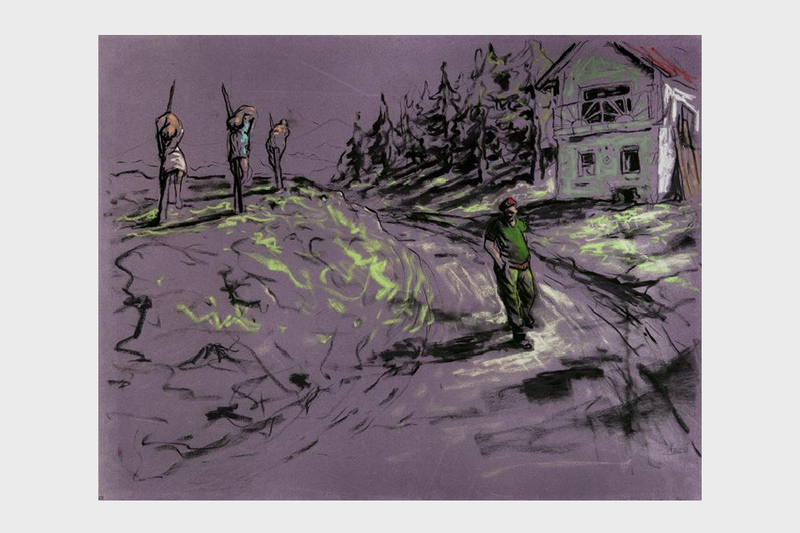 Howson was commissioned in spring 1993 by the Imperial War Museum and Times Newspapers to go to Bosnia. He made two visits to the country in June and December, travelling with the British forces participating in the United Nations Protection Force. In June he went to Travnik, Gornji Vakuf, Prozor and Vitez but was forced to return early because of illness. 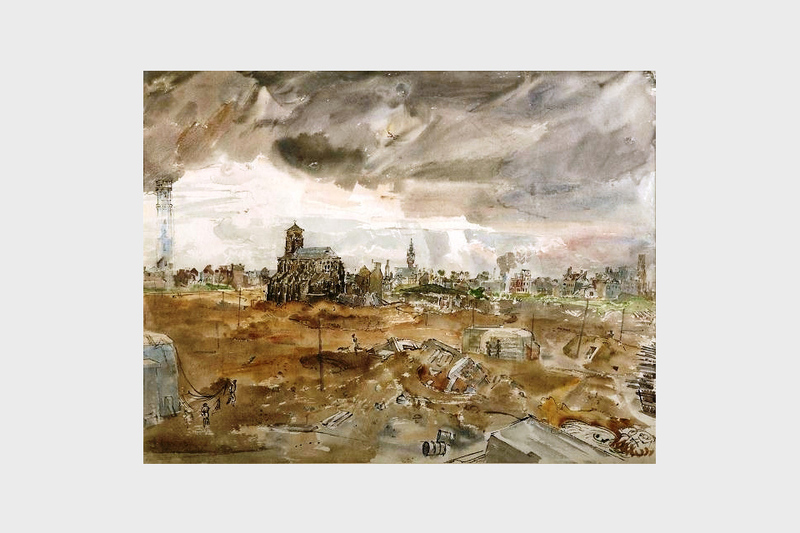 Among the better known World War 2 artists were a small London-based group commissioned to record the effect of bomb damage on well-known buildings. These artists, employed by the Ministry of Works, were given special access to damaged government buildings - but they were hampered by a lack of canvas on which to paint. William Hampton solved the problem by producing paintings such as this one on utility hardboard. At the outset of the London Blitz, some of these artists were asked to record damage to significant buildings such as the Tower of London and HM Custom House. The official war artists commissioned by the War Artists Advisory Committee were all, at this point, deployed out of London, and among the few people available and capable of undertaking the task were Alistair Stewart and William Hampton. 18 December 2012 Have removed all the repetitious paragraphs throughout and re-ordered the front end. Have moved the book details further down as it's not clear how new the book is, name, price, etc.